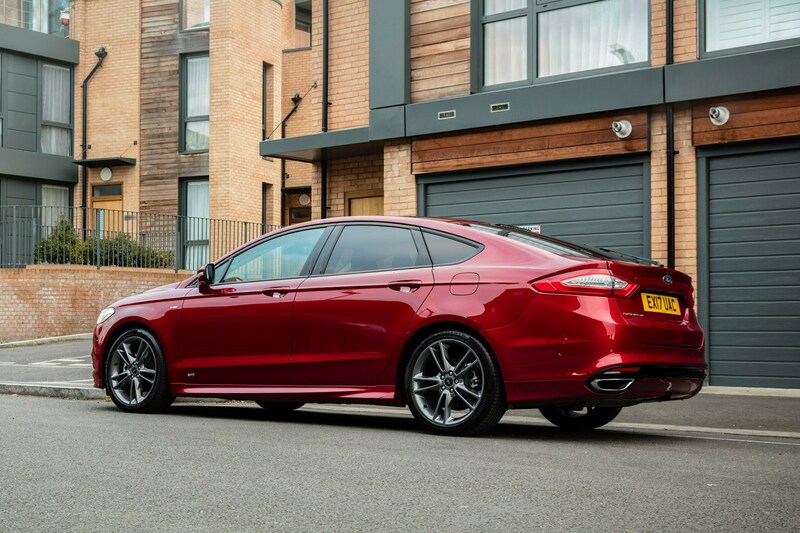 Insurance group: 15 - 31 How much is it to insure? 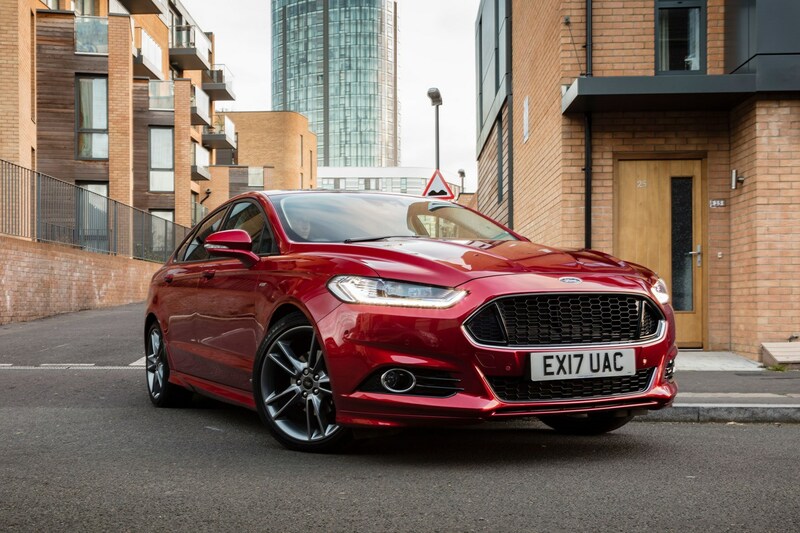 With the rise in popularity of SUVs of all shapes and sizes, traditionally popular large family hatchbacks like the Ford Mondeo need to work extra hard to stand out to potential buyers and company car drivers alike. 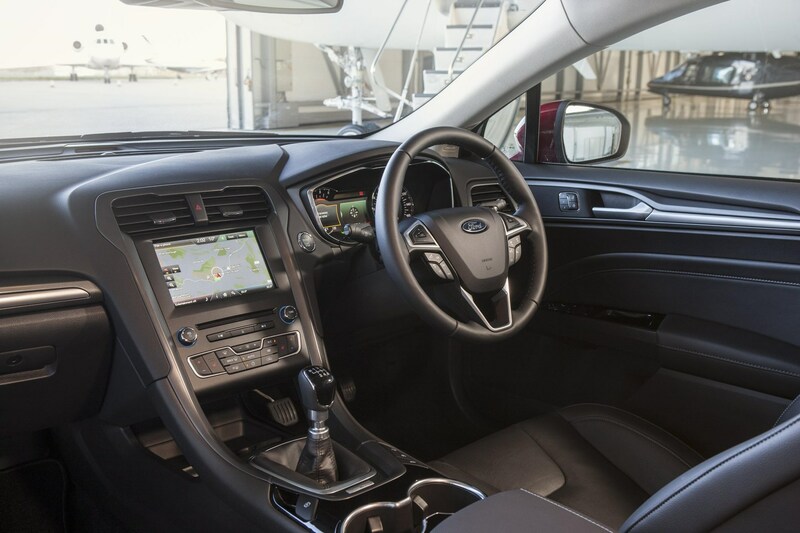 That’s easier said than done, with competitive rivals like the Volkswagen Passat, Mazda 6 and Vauxhall Insignia Grand Sport to beat, but Ford can’t ignore the fact that potential customers could also be considering family SUVs like the Volkswagen Tiguan, Mazda CX-5 and even the Ford Kuga. 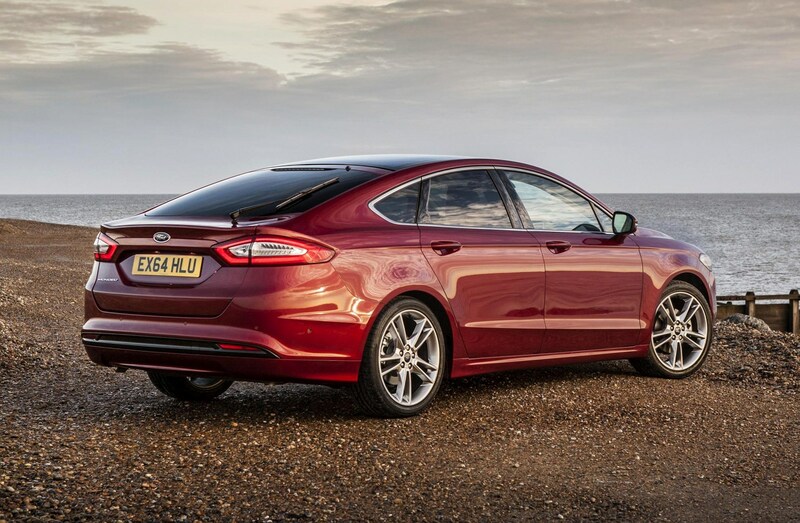 The Mondeo is a smart looking car, with some neat design details and swooping roofline that go some way to disguising its size (it’s very big), but with that growth also comes a shift in what the big Ford is best at. 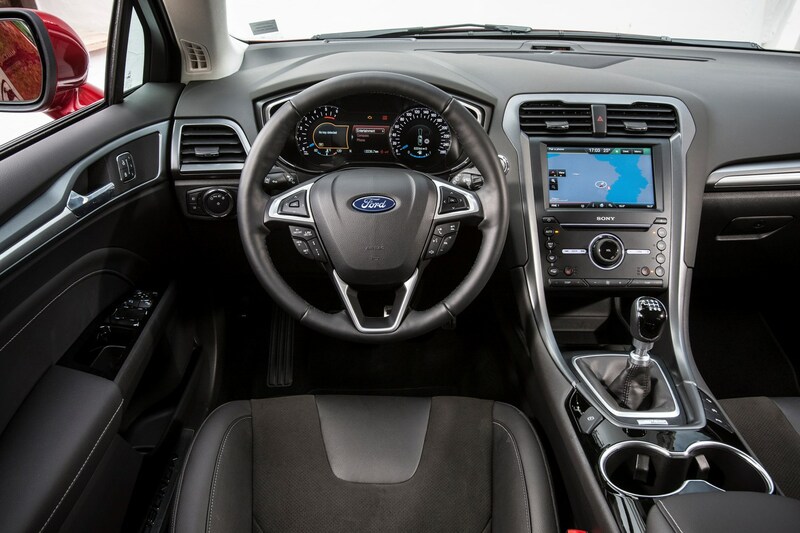 While it’s still good to drive, it’s more a comfortable cruiser than back road blaster like previous generations. 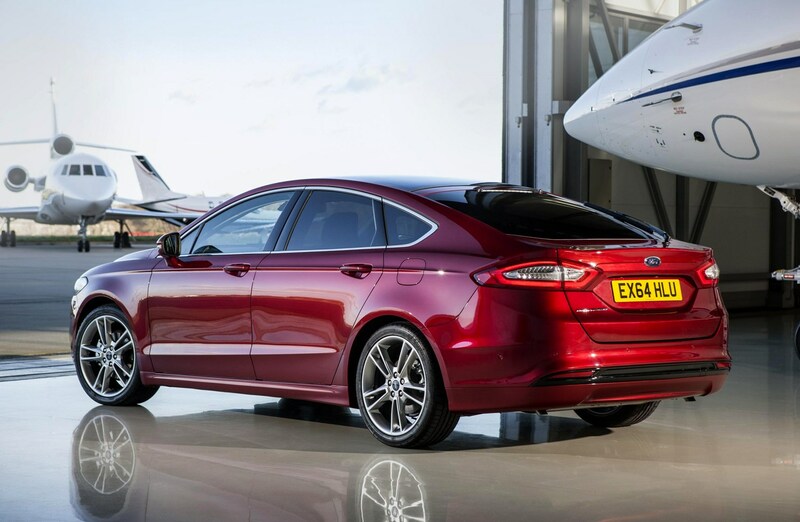 And you can thank its American roots for that – as comfort comes high on US shoppers’ wishlists – because this is the same car that you’re able to buy in the USA, albeit badged a Fusion rather than Mondeo. 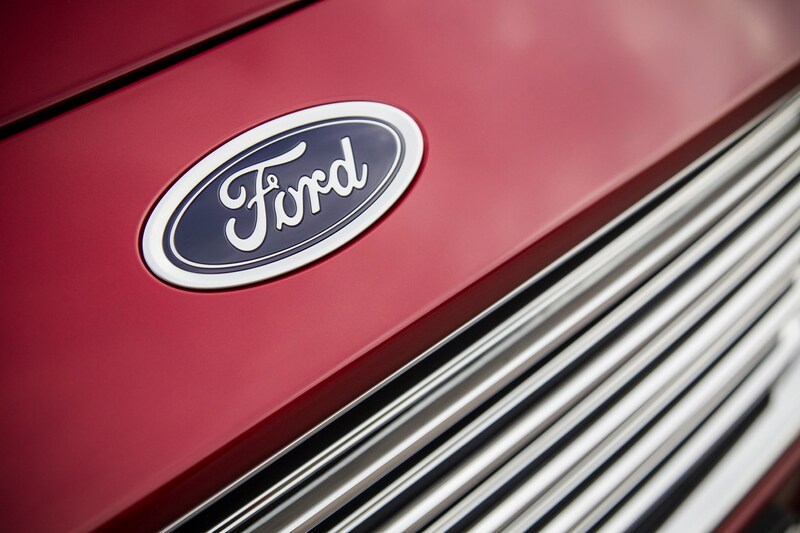 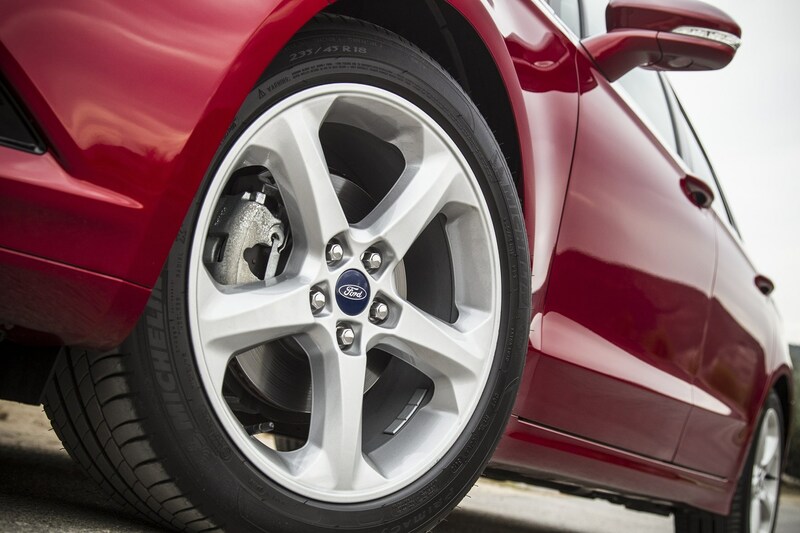 Ford prides itself on introducing relevant technology to its customers that hitherto had remained the preserve of buyers of more prestigious brands. 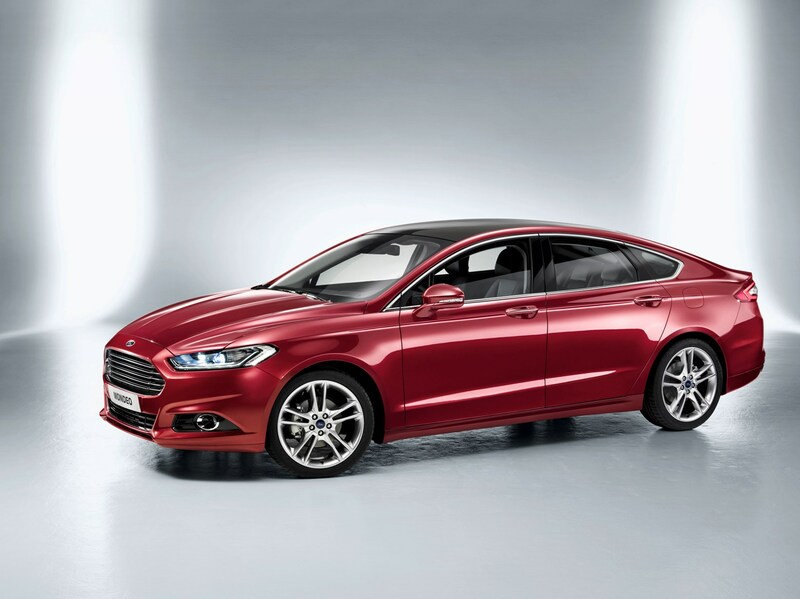 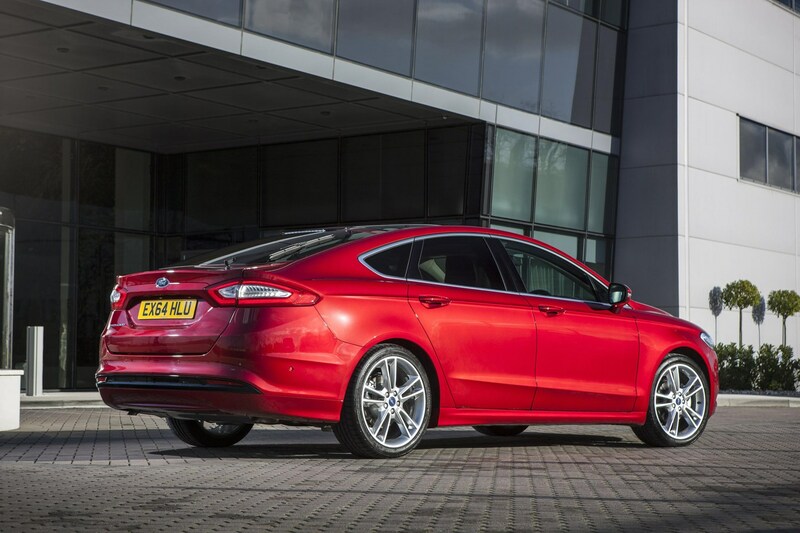 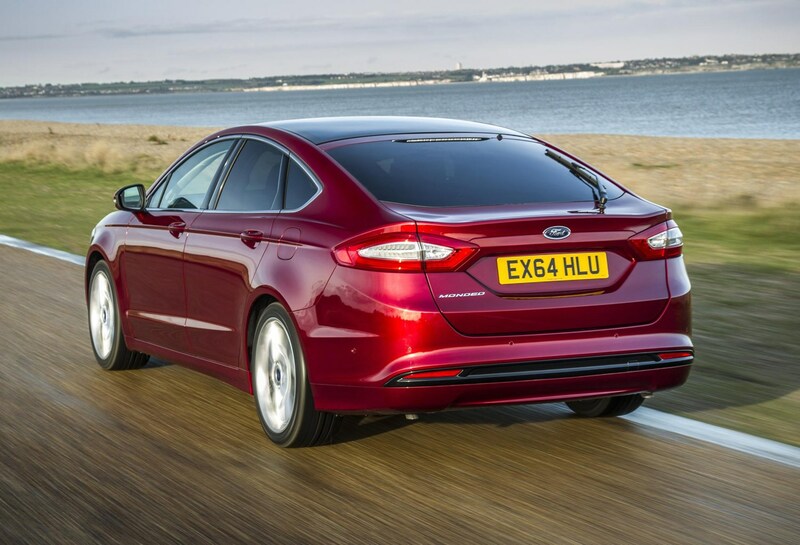 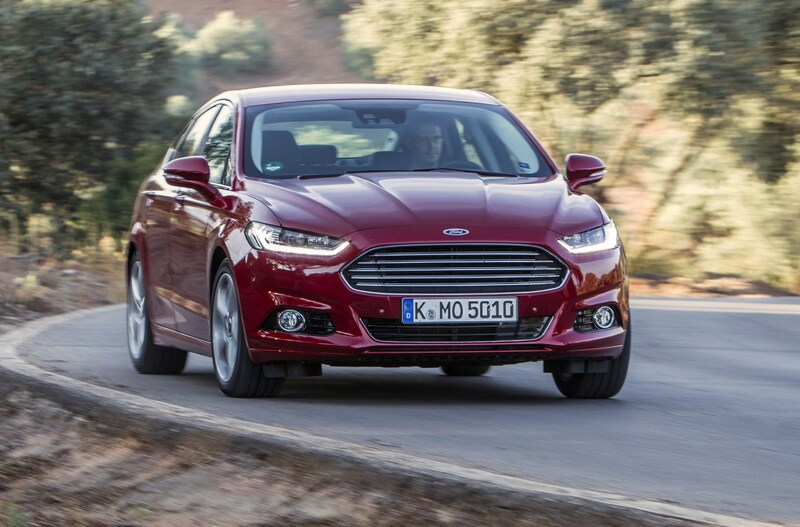 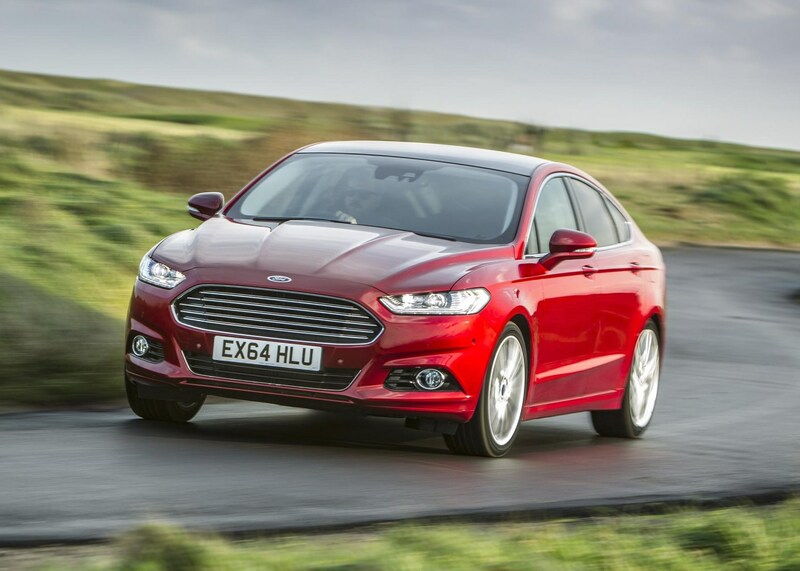 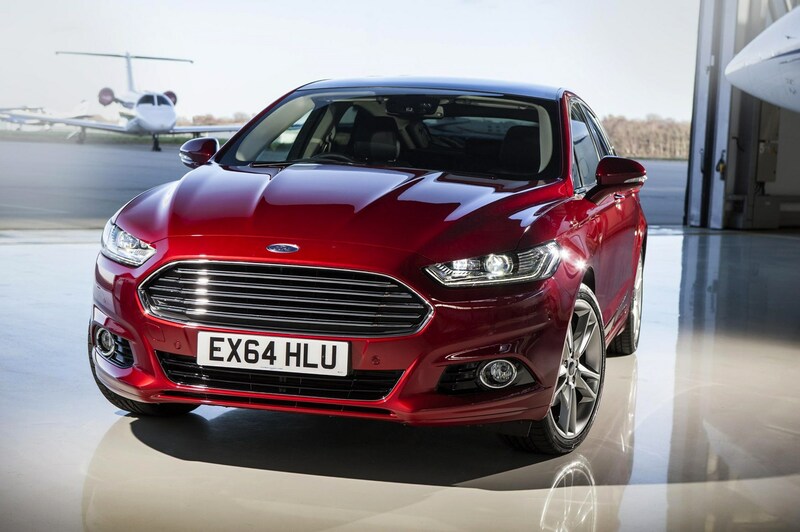 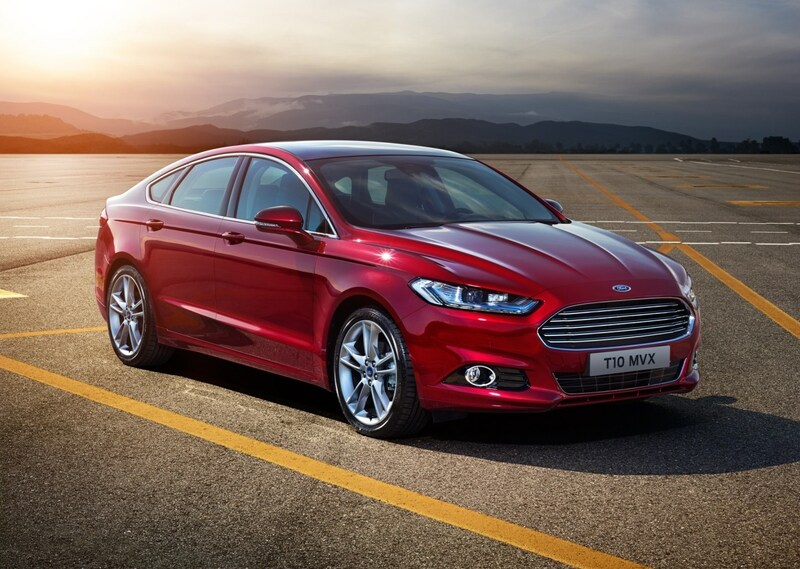 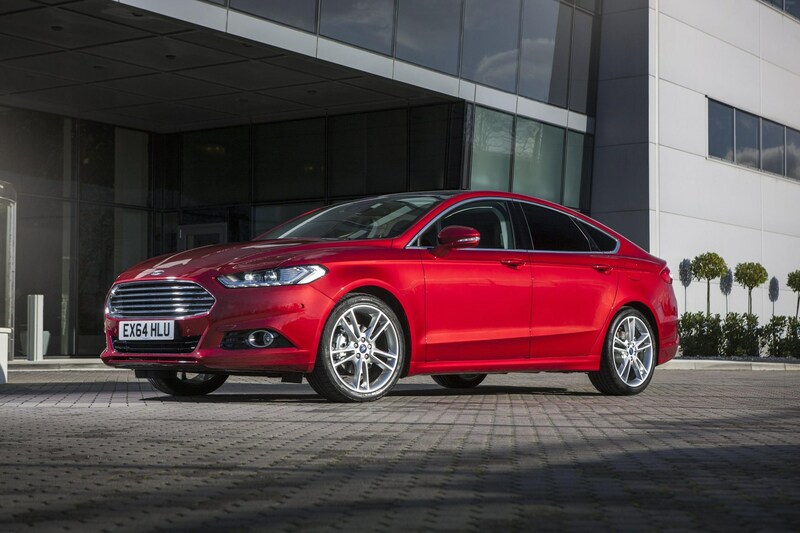 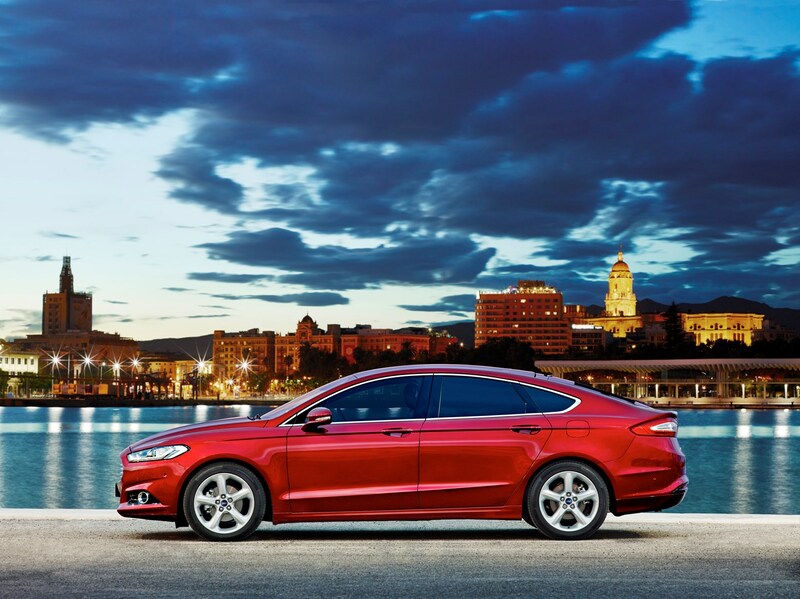 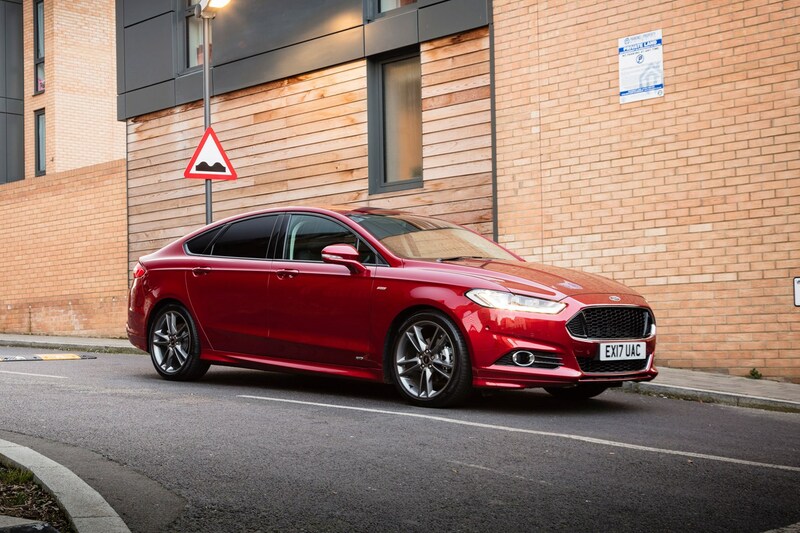 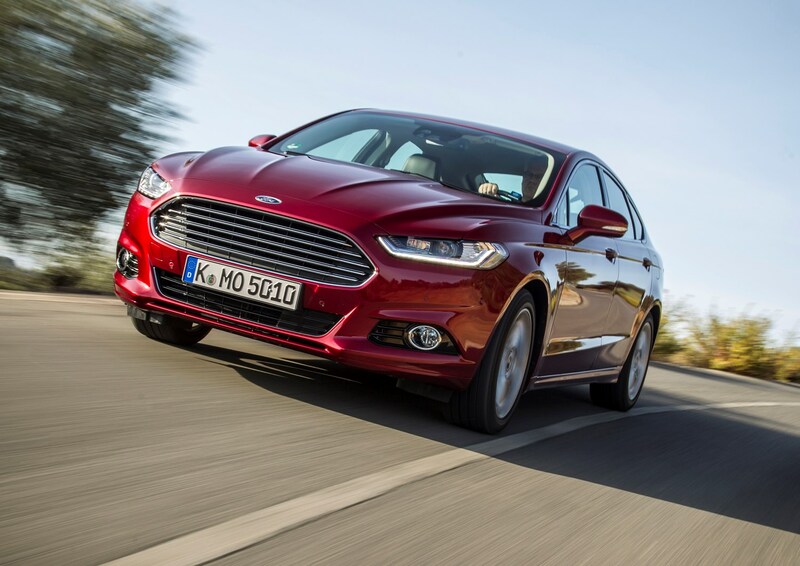 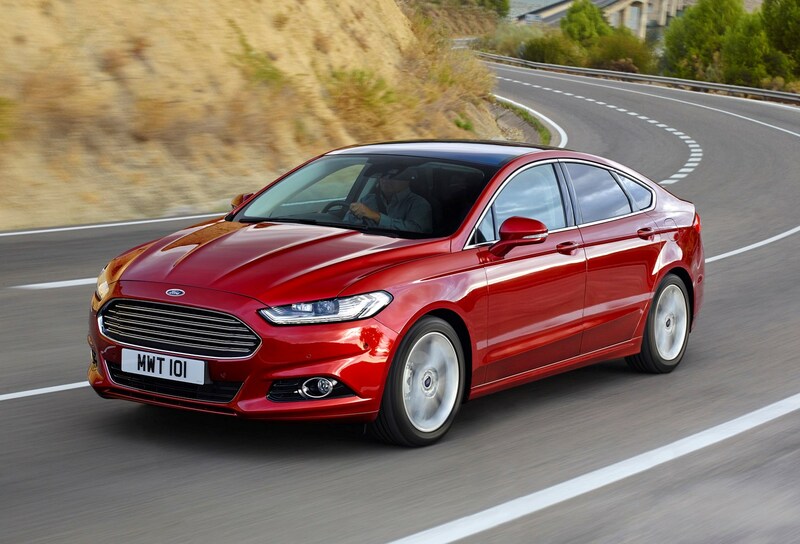 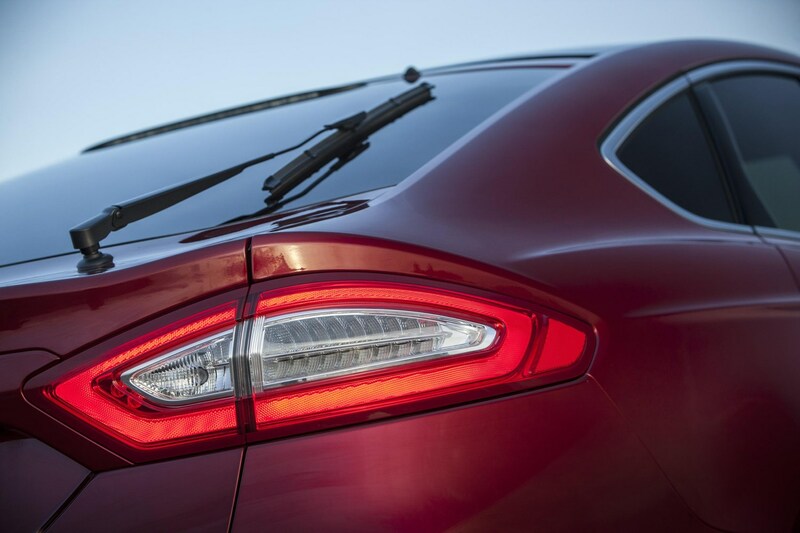 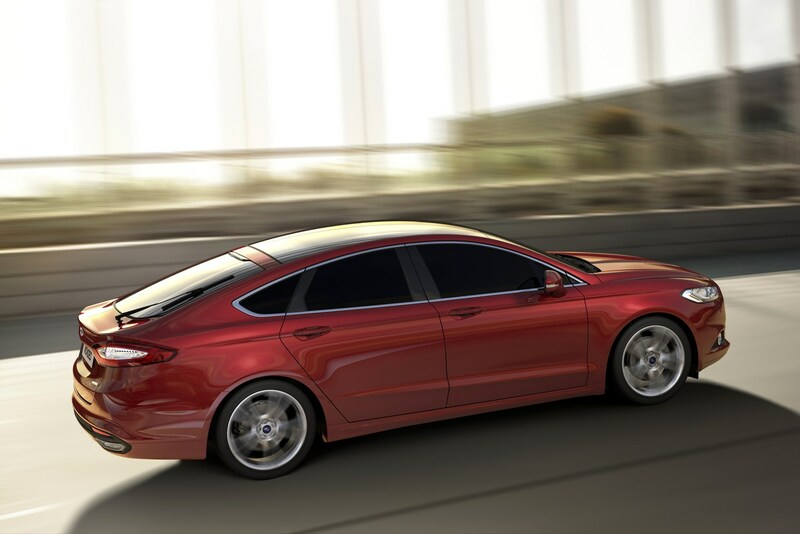 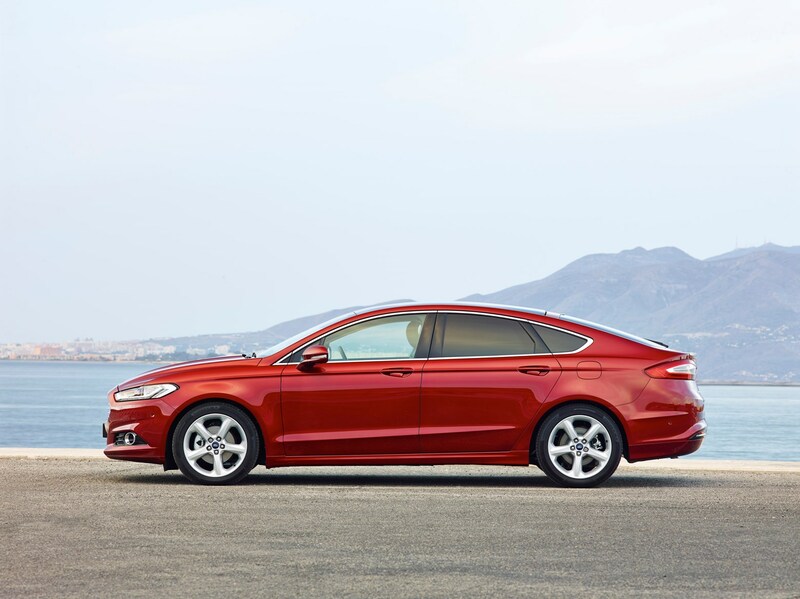 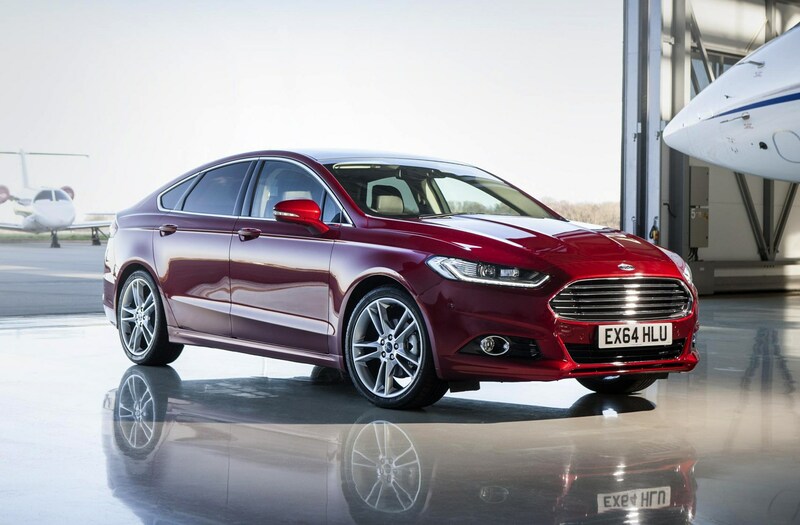 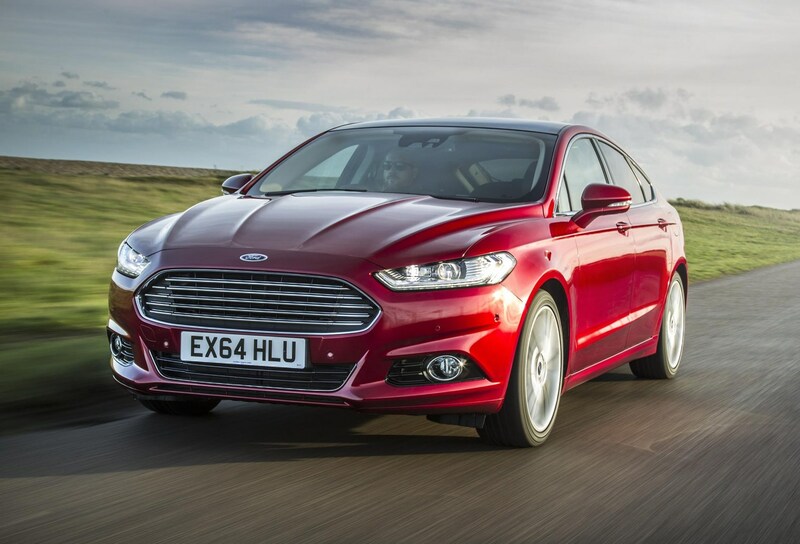 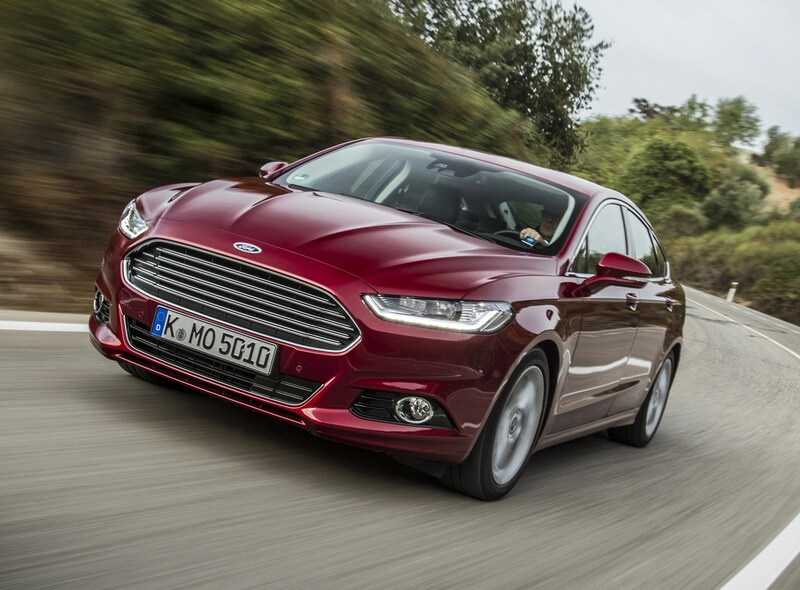 This continues with the Mondeo, although it doesn’t go unnoticed that with its elongated, tapering bodywork, large trapezoidal grille and a liberal application of chrome-look trim, the big Ford also has the air of a more expensive car about it. 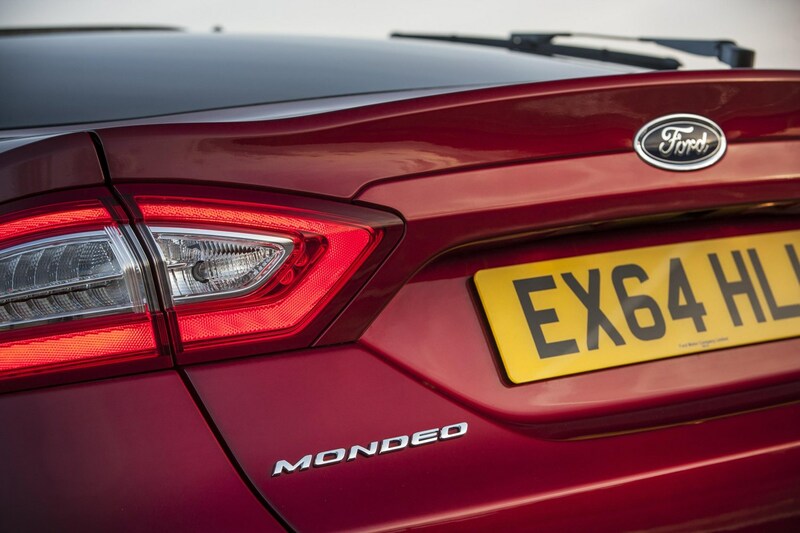 Mondeos fitted with the optional LED headlamps also feature thin strips of day running light at their base which pulsate with an amber glow when indicating. 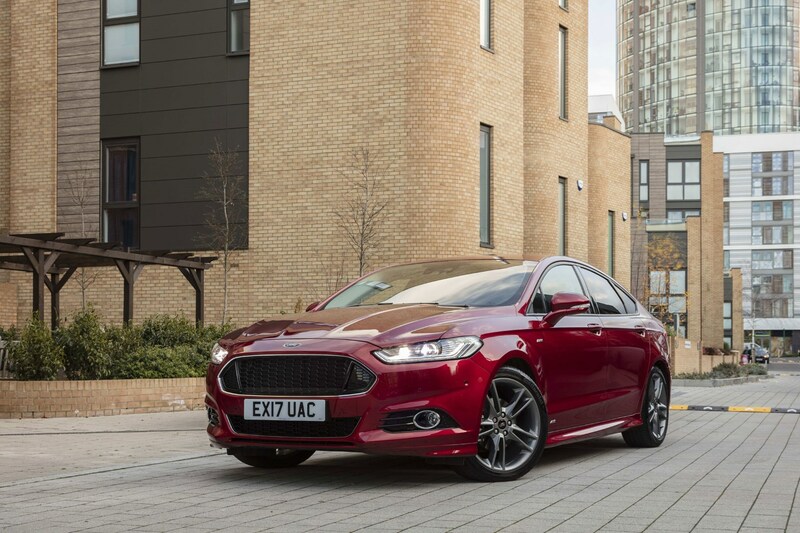 Significant advances have been made with the Mondeo’s on-board safety kit and driving aids, building on existing technologies and introducing refinements to them. 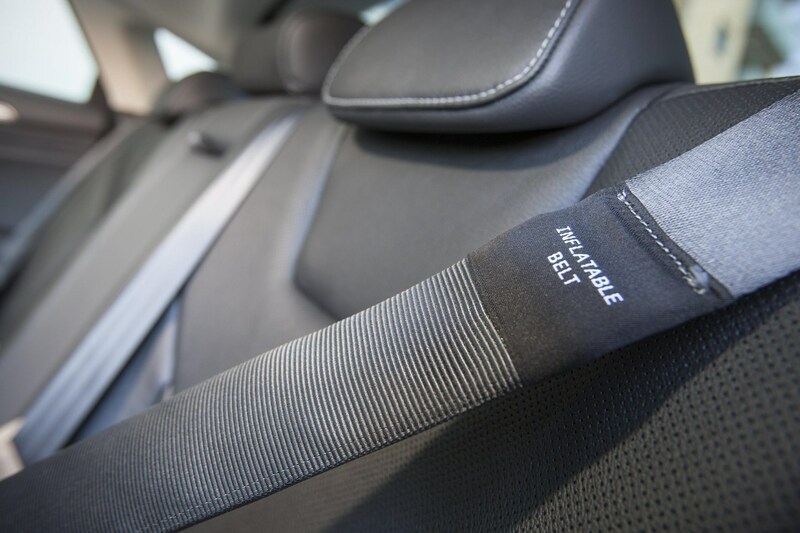 >Parking assistance now parallel parks as well as into bays, the significantly stronger and safer body shell is also lighter but the safety item likely to grab the most headlines are the optional inflatable seatbelts on the outer two rear seats, giving more cushioned protection in the event of a crash, five times the area of a conventional seatbelt. 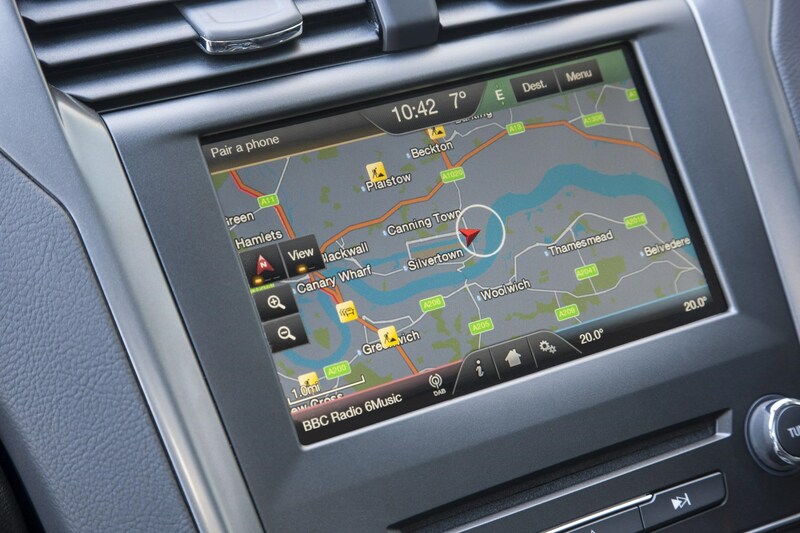 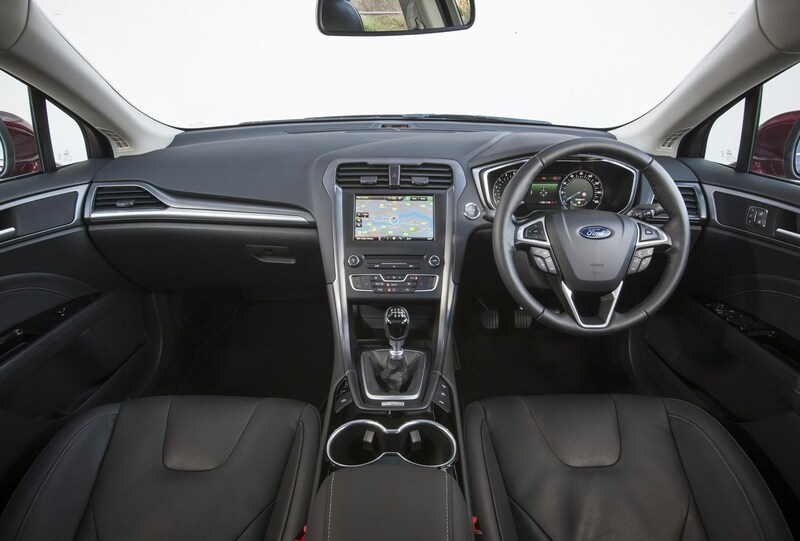 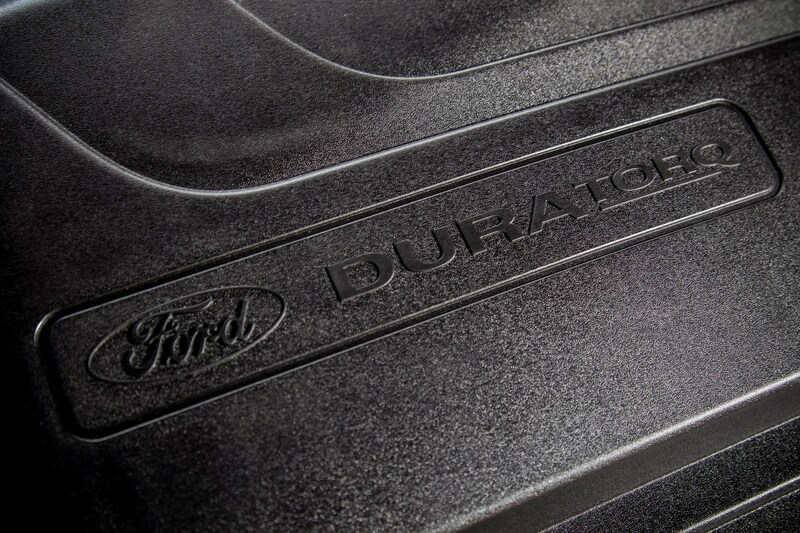 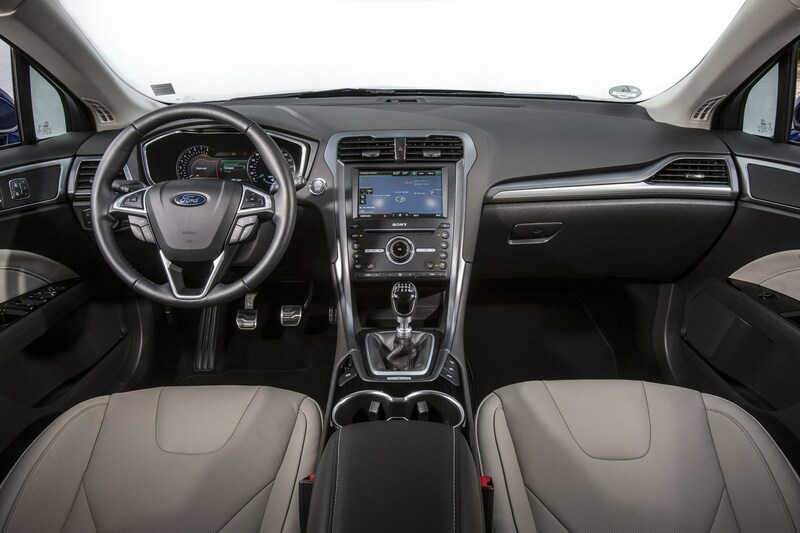 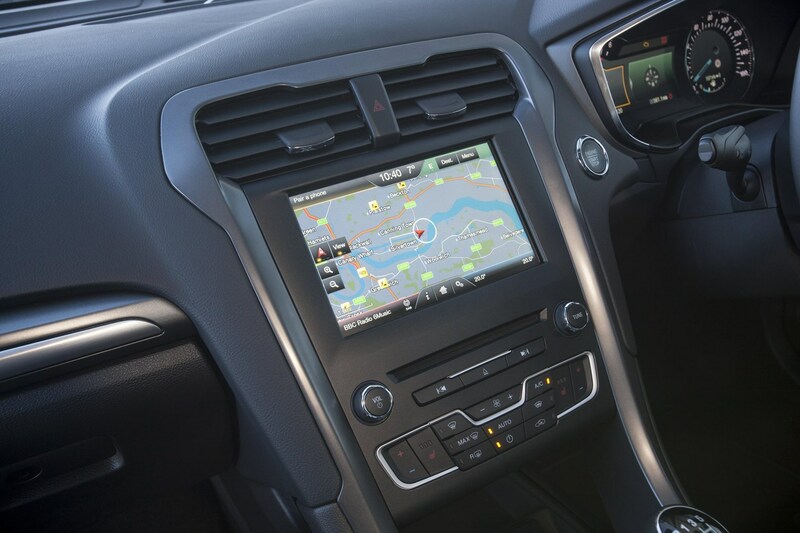 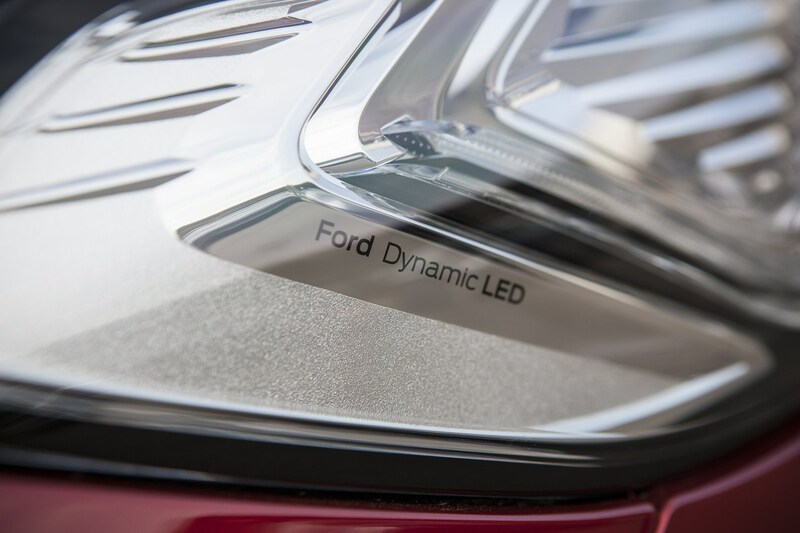 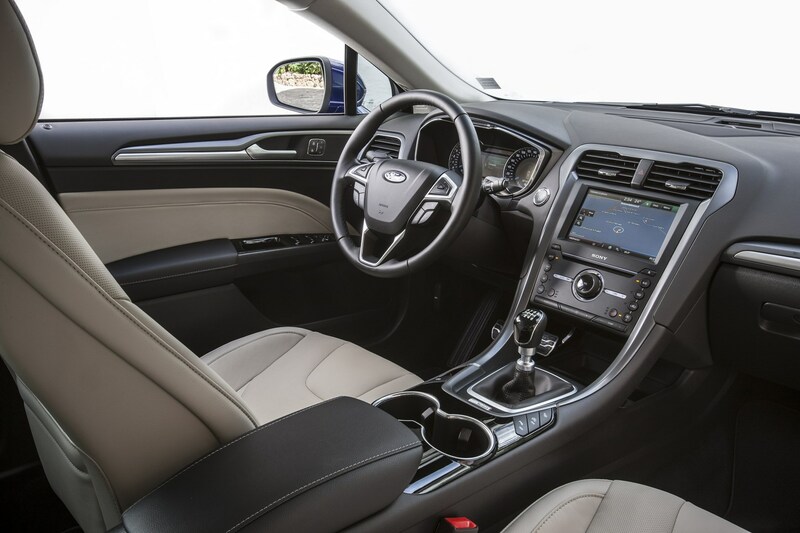 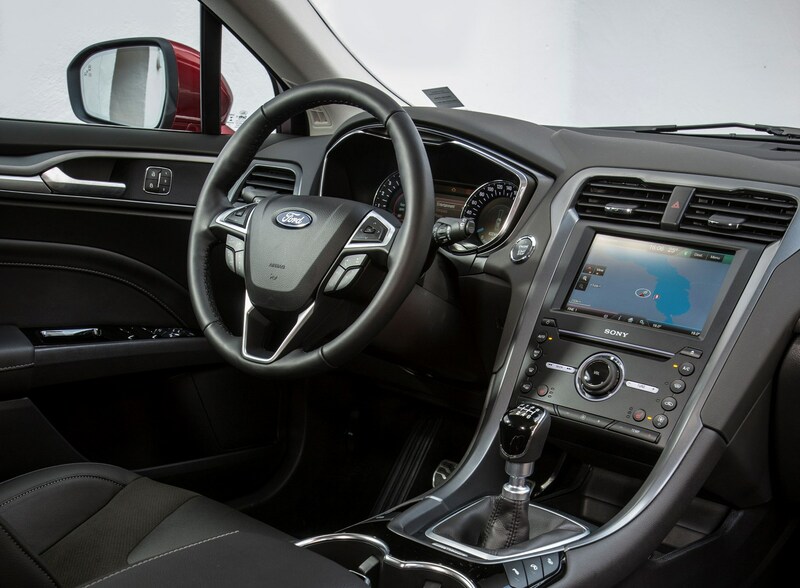 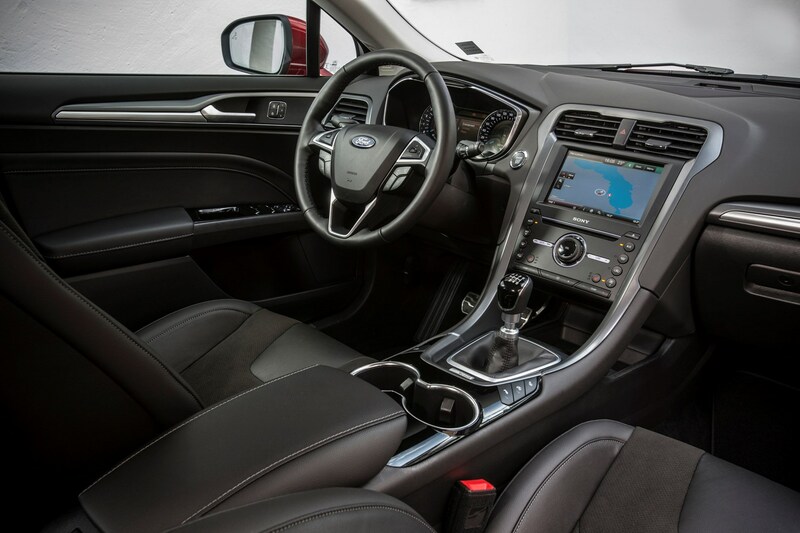 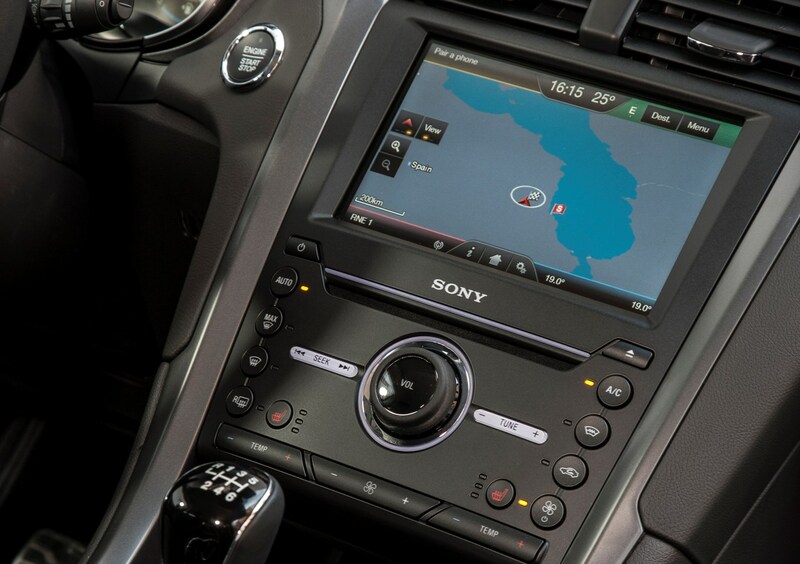 All models come with Sync3, Ford’s latest infotainment system with an 8.0-inch colour touchscreen. 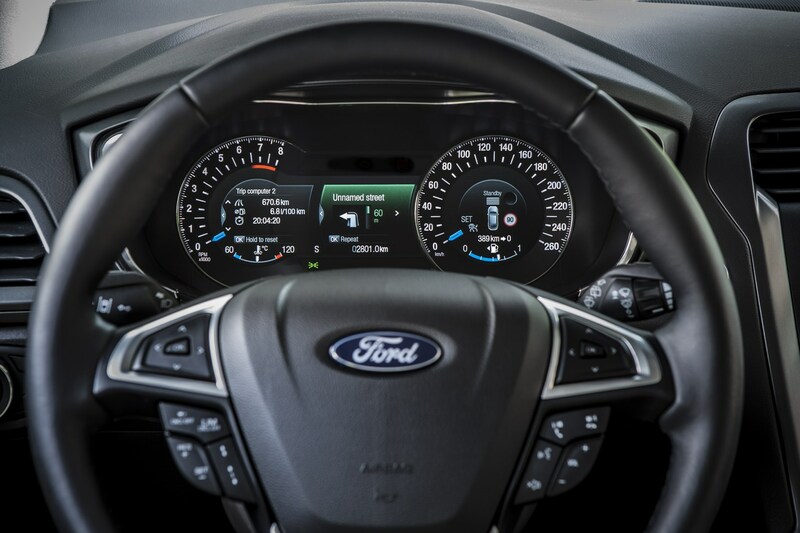 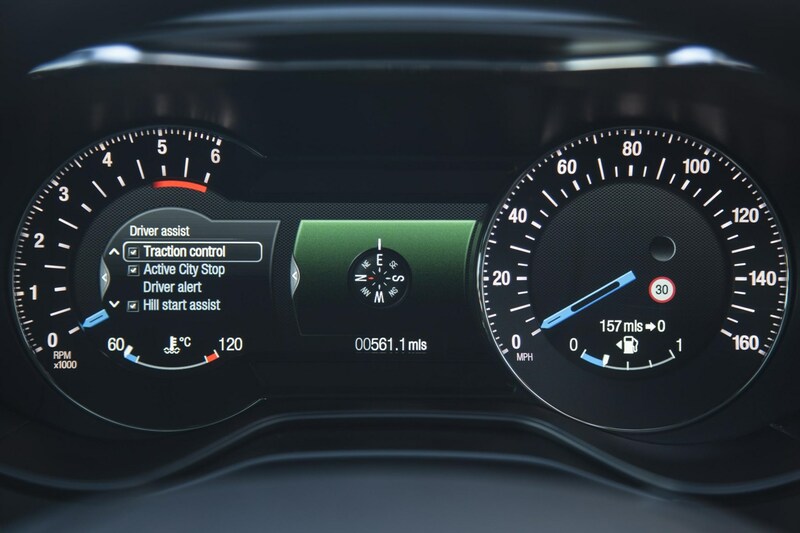 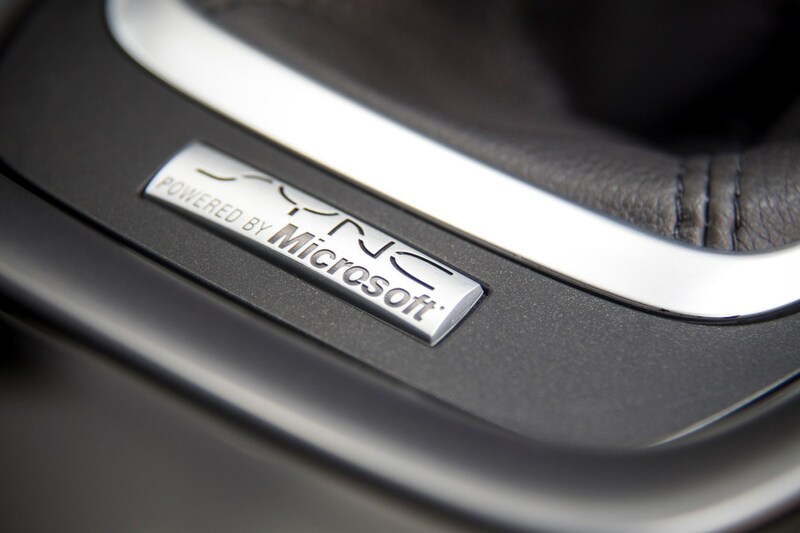 It’s intuitive and simple to get used to, using software developed for Ford by Microsoft. 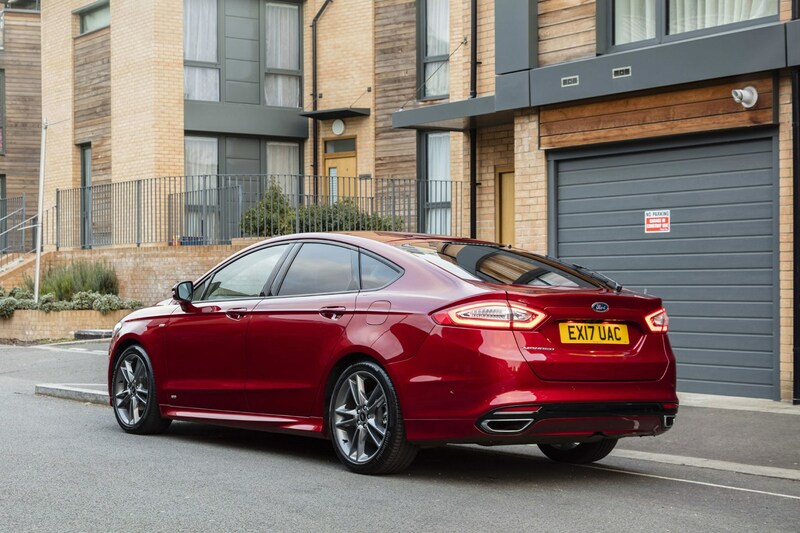 The majority of Mondeo buyers opt for a five-door hatchback or estate with a choice of petrol and diesel engines, however there's also a four-door saloon available exclusively with a hybrid engine. 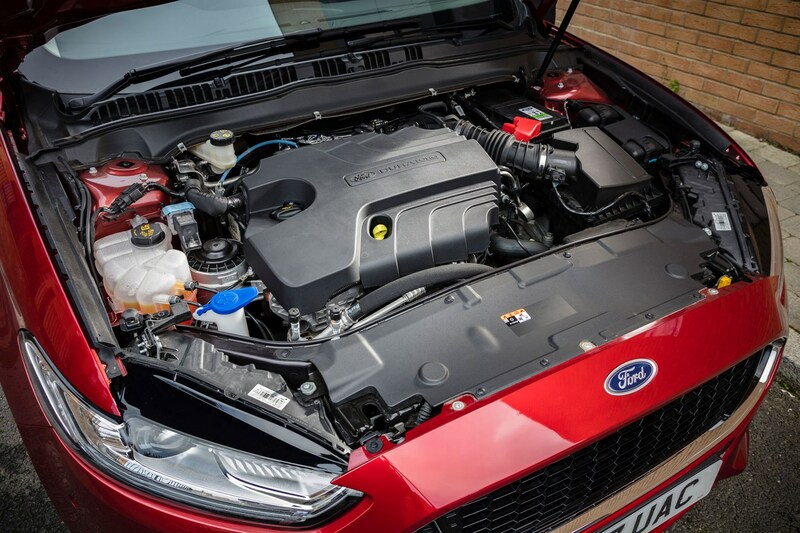 That hybrid is now also available in the hatchback and estate, using a 2.0-litre petrol engine and electric motor for a combined power output of 187hp. 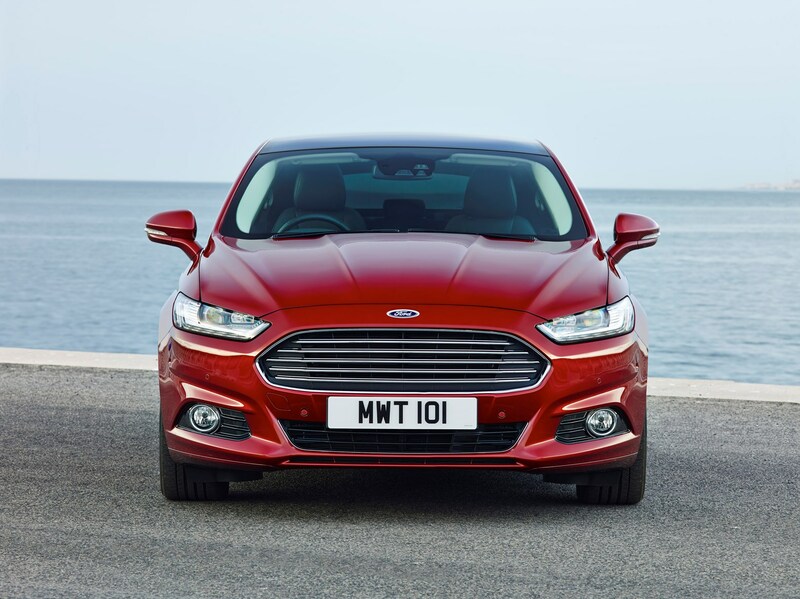 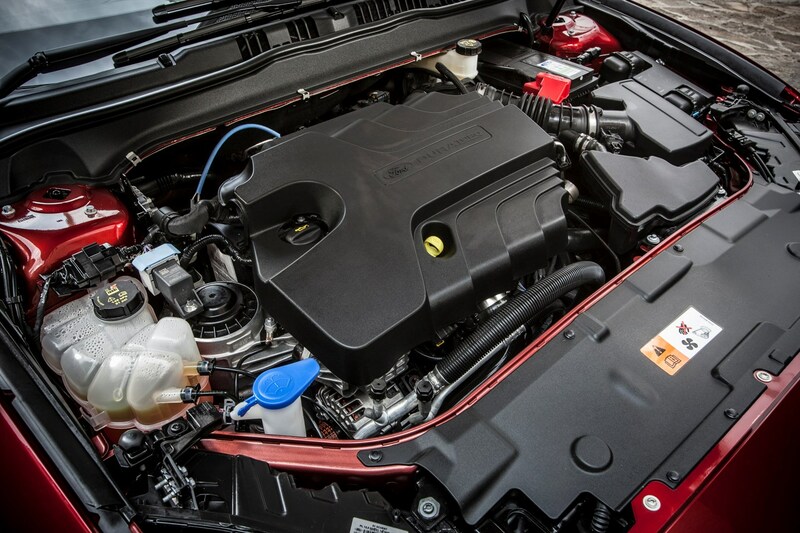 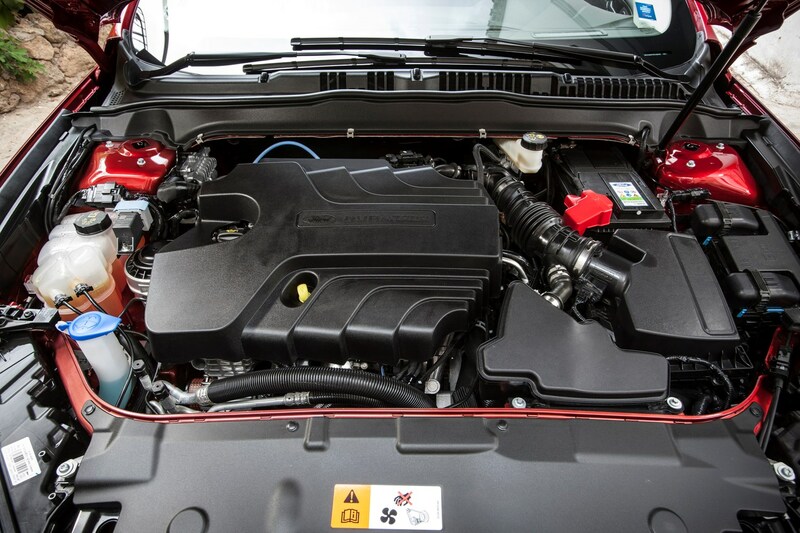 >Available to Mondeo buyers is a range of EcoBoost petrol engines ranging from 1.0- to 2.0 litres (125 to 240hp), while punchy and economical TDCi diesels are available from 1.5 to 2.0-litres (120 to 210hp). 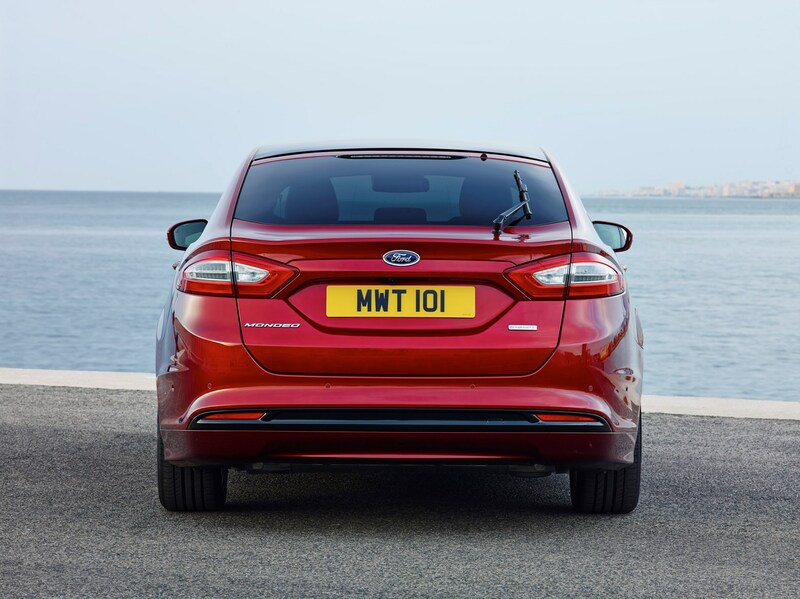 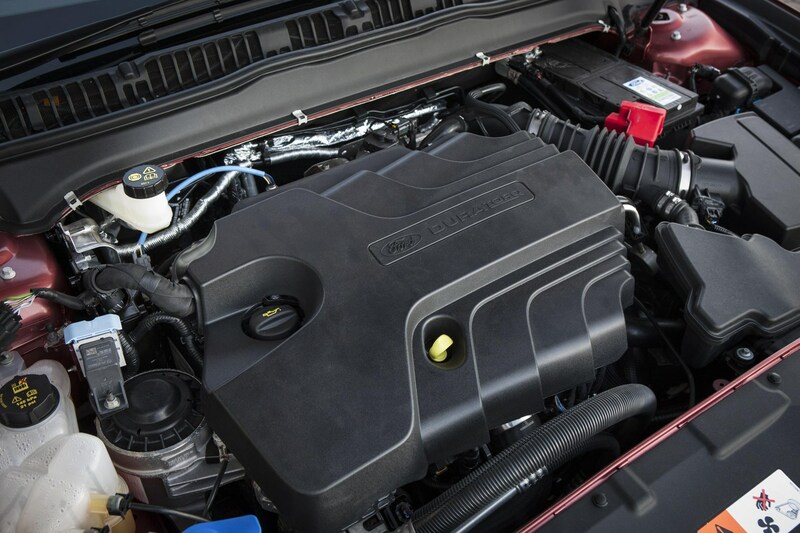 Early in 2019, Ford introduced new 2.0-litre diesels badged EcoBlue in 150hp and 190hp outputs. 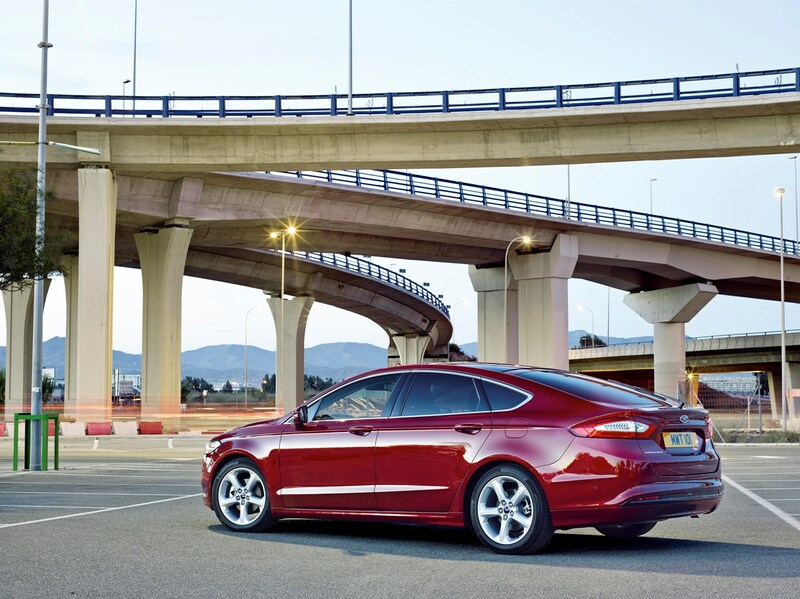 Both are available with a choice of manual or automatic gearboxes, as well as all-wheel drive at extra cost. 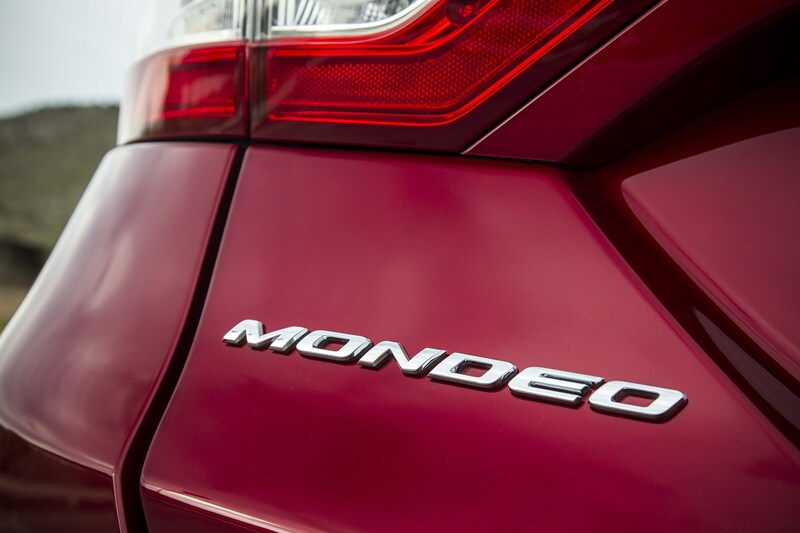 Most Mondeos come with a six-speed manual gearbox, while Powershift automatics are available on some higher-output powerplants, while all-wheel drive is also available on particular engines. 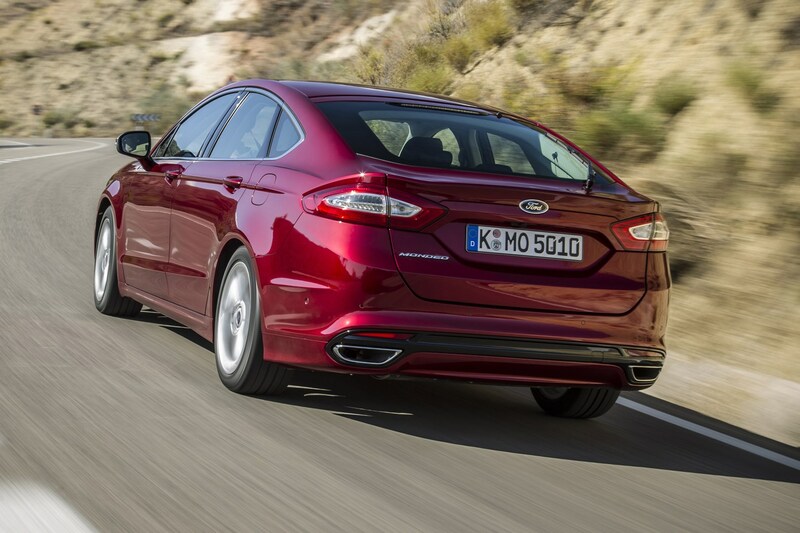 More details on the variants can be found in the Performance section of this review. 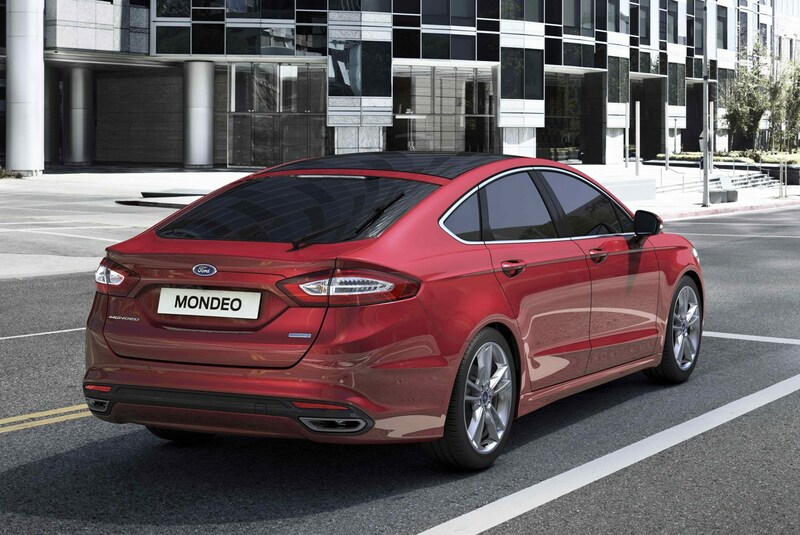 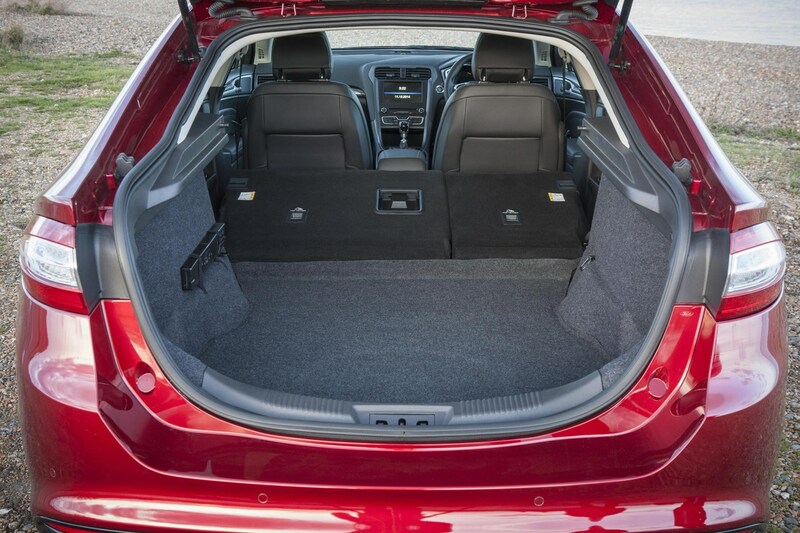 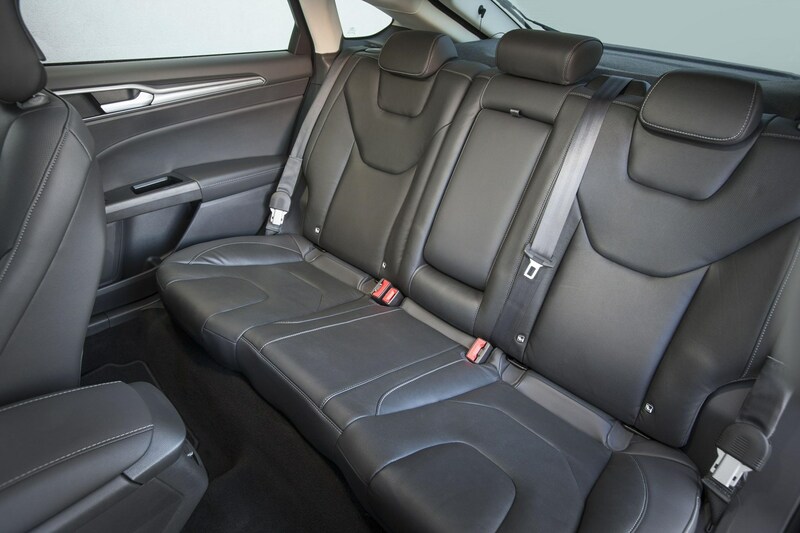 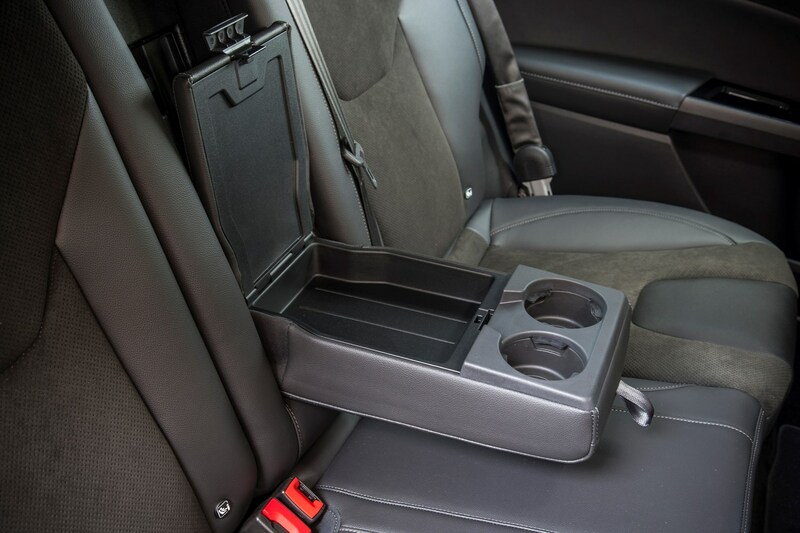 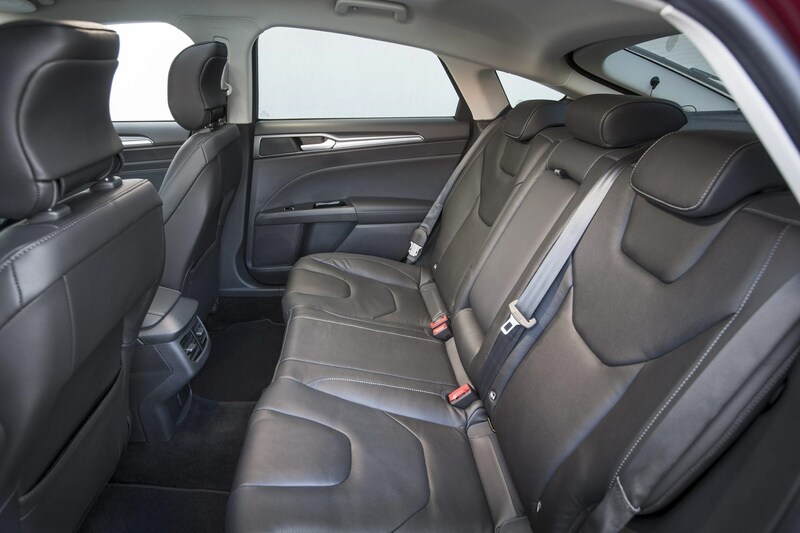 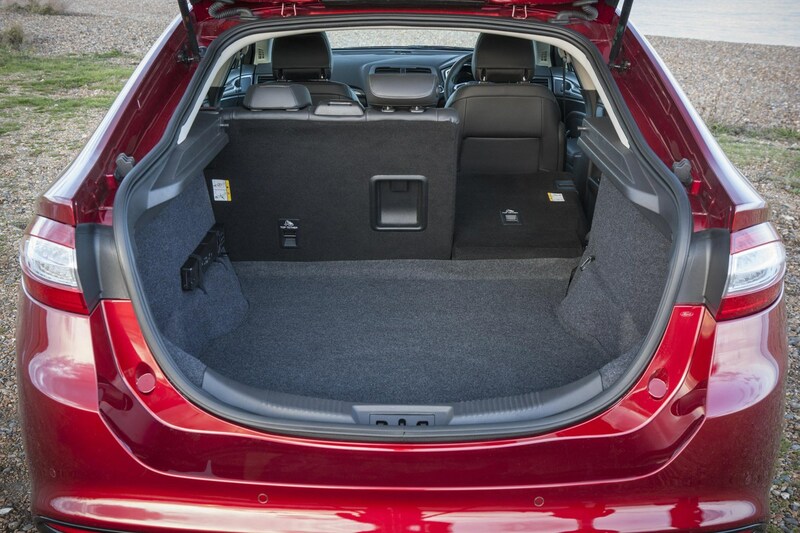 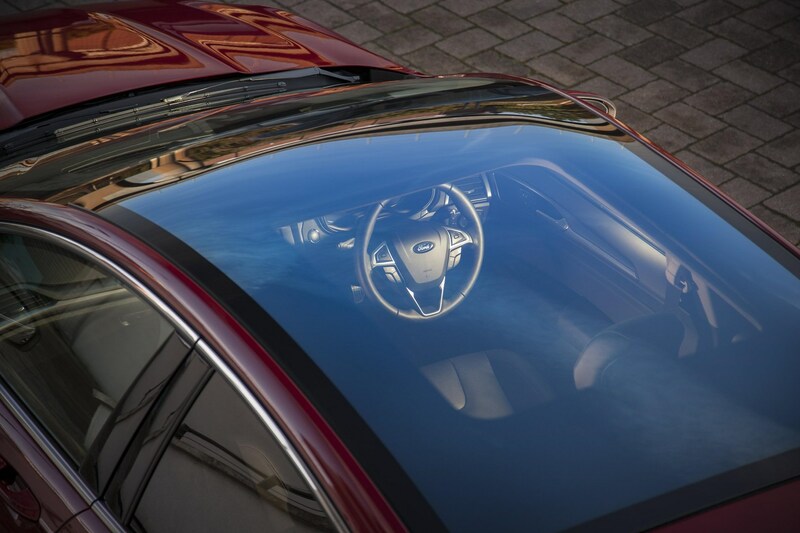 Passengers benefit from the Mondeo’s size, with genuine space for five adults despite the sloping roofline, and the car rides comfortably on standard suspension – the impressive adaptive version is not available as an option on UK cars. 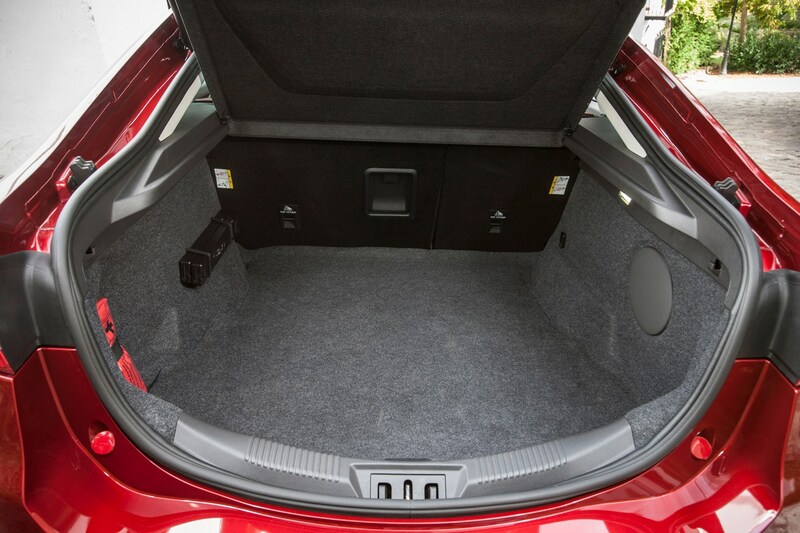 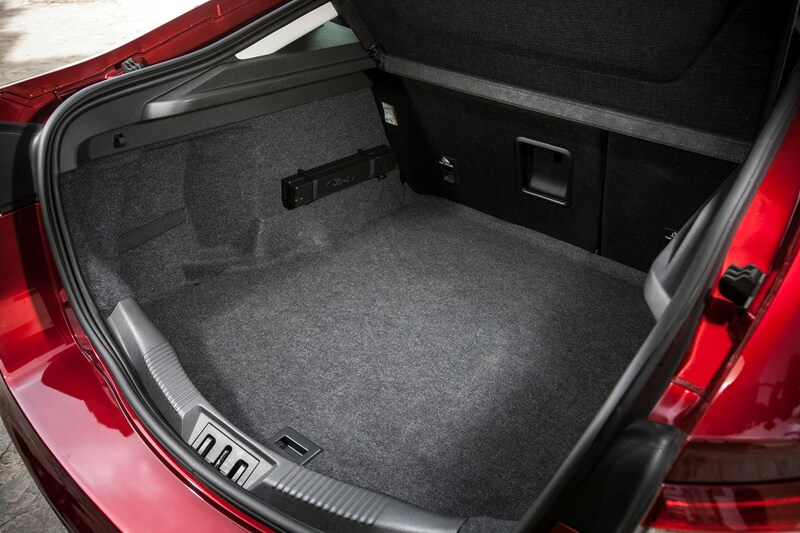 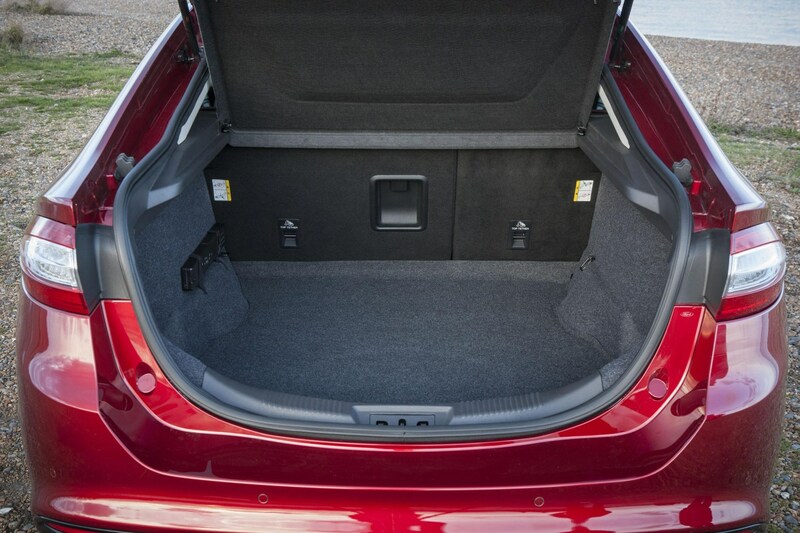 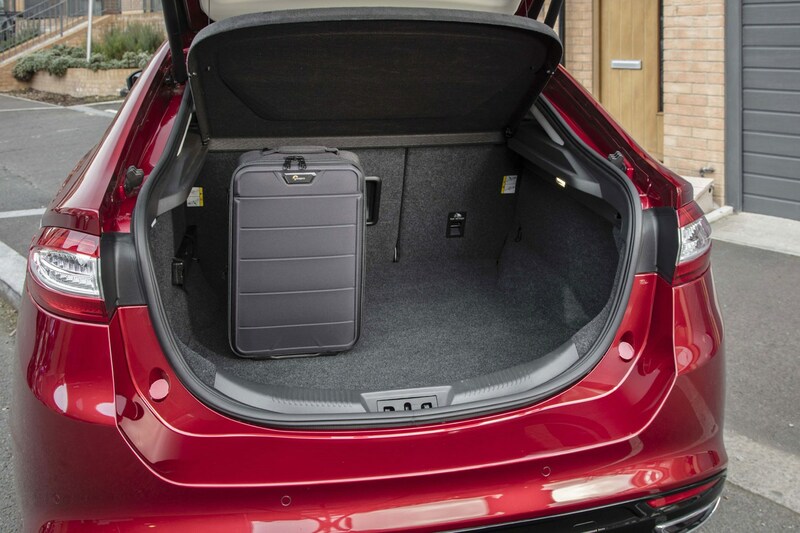 The boot’s spacious at 541 litres (with a space-saver wheel; an optional full-size spare shrinks it to 458 litres), although rivals offer more luggage capacity if that’s your primary concern. 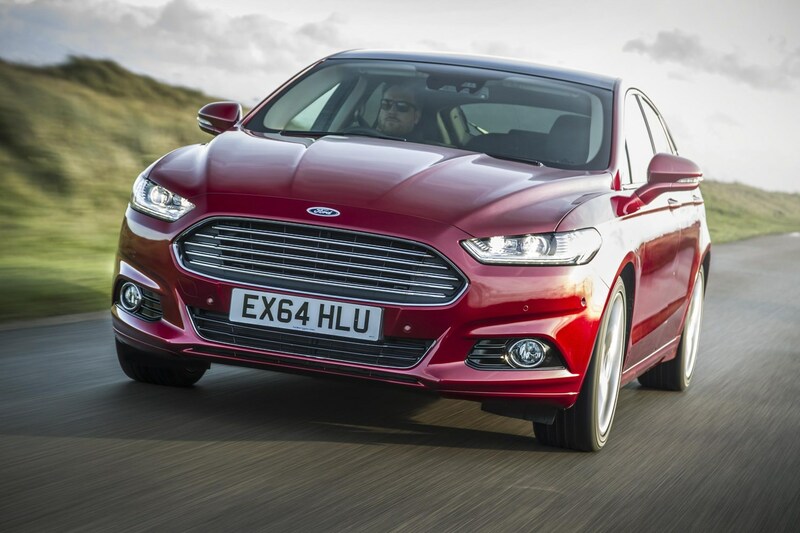 The Mondeo is accurate and nimble around corners it lacks the impressive driver involvement older models have provided enthusiasts. 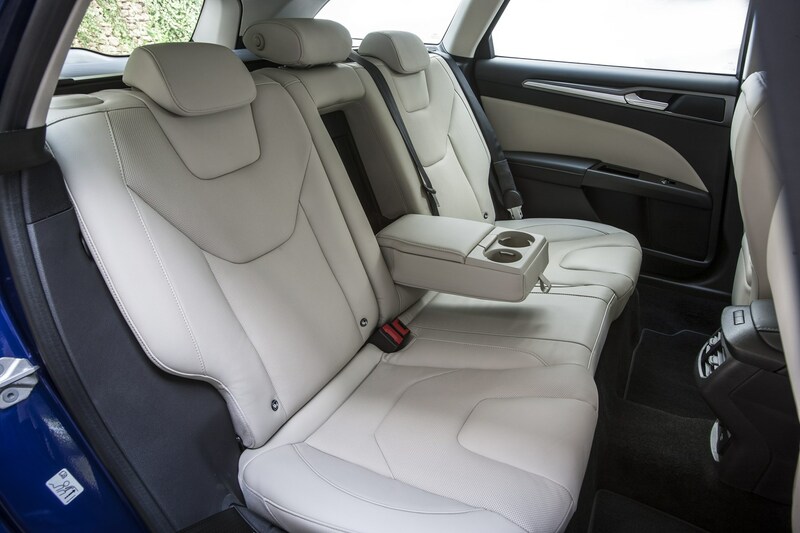 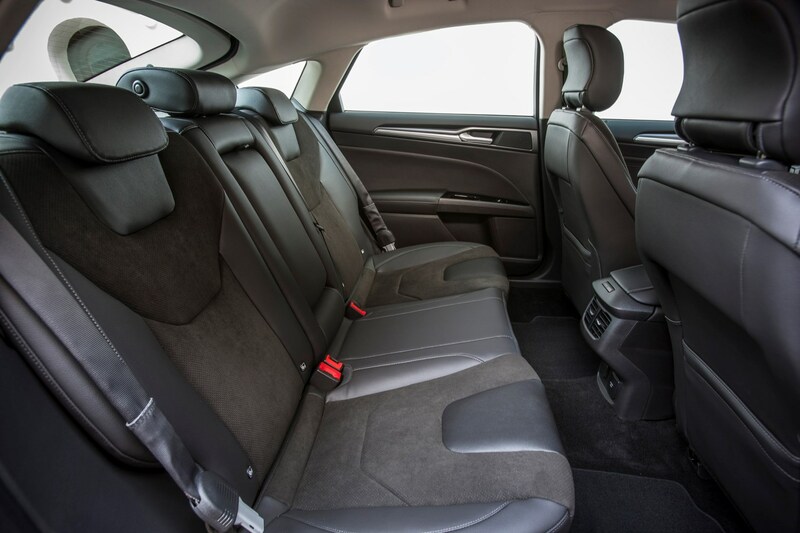 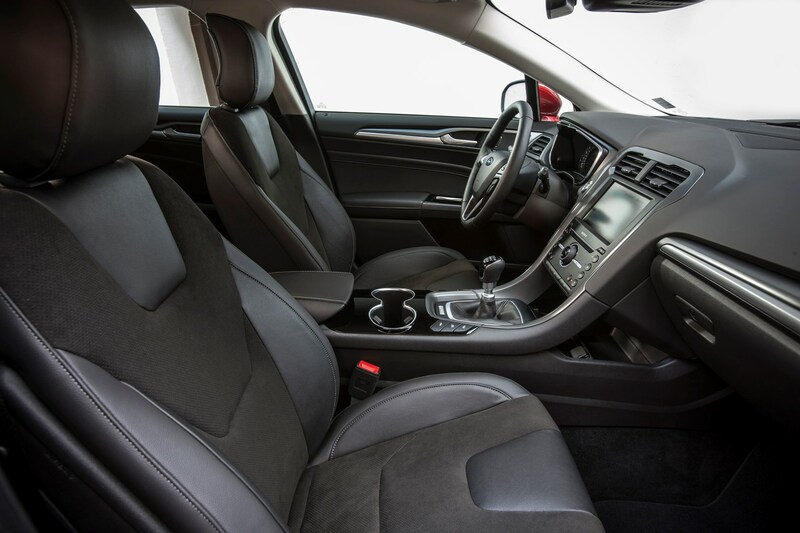 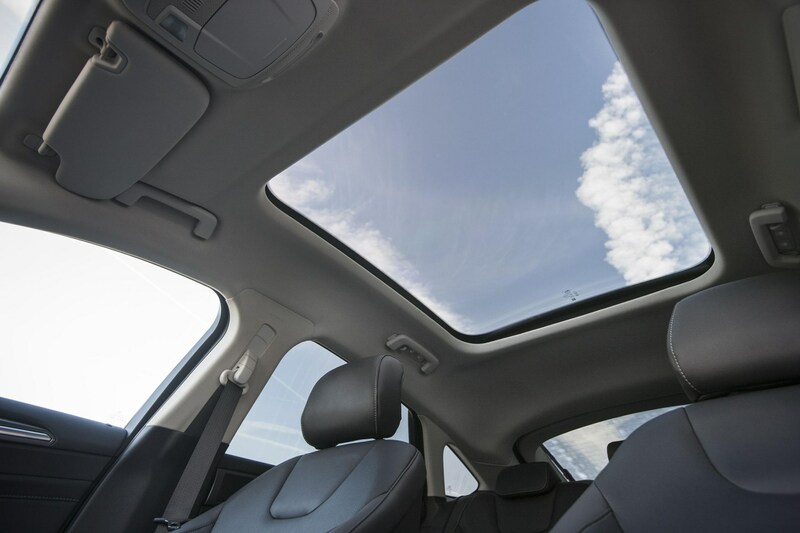 It’s exceptionally comfortable and quiet on long journeys which will appeal to those pounding up and down the motorway. 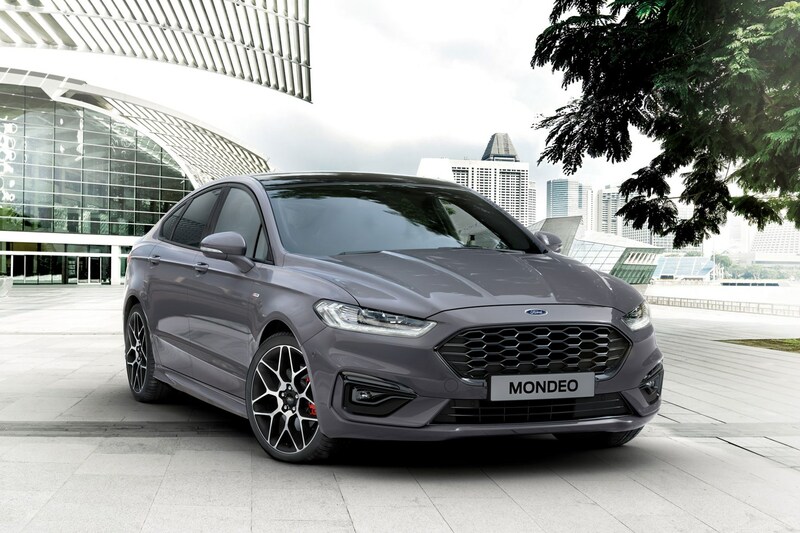 Early in 2019 Ford unveiled a mid-life update for the Mondeo, with small tweaks made to the exterior styling to pull it in line with the likes of the Focus, Fiesta and Edge. 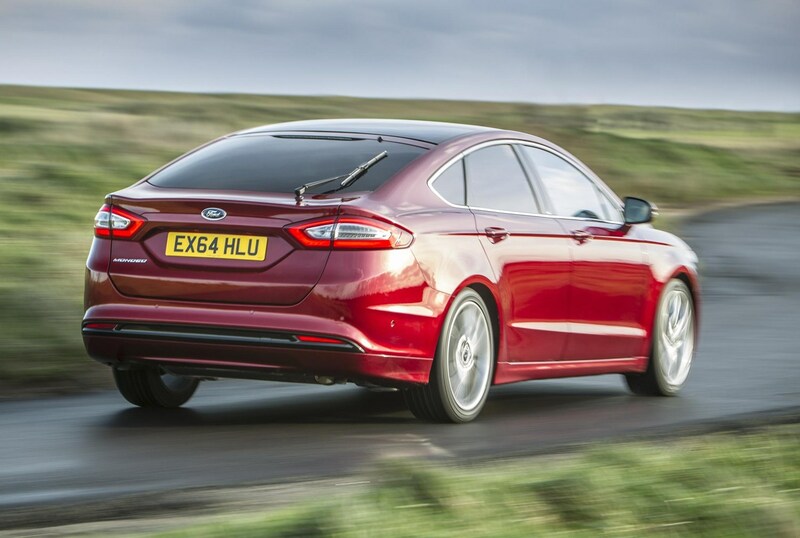 Changes aren't extensive, with new bumpers, lights and details across different models, while the engine range was expanded with new EcoBlue diesels and the availability of the 2.0-litre hybrid engine from the saloon. 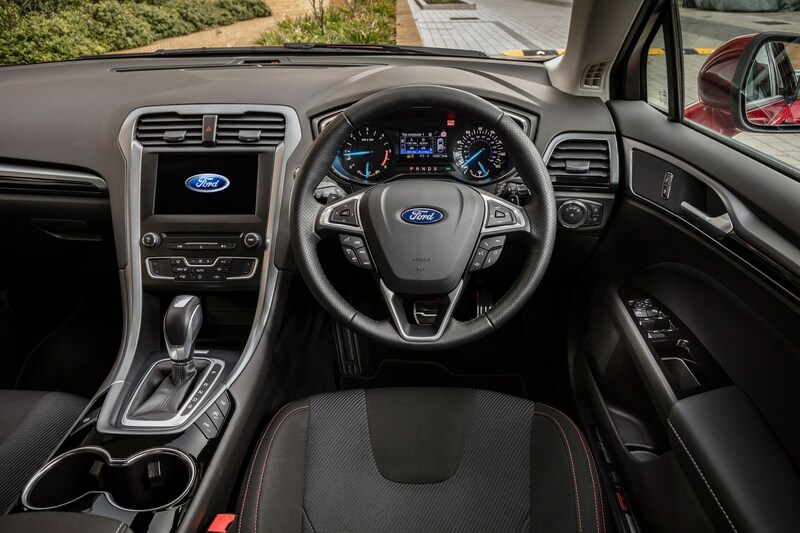 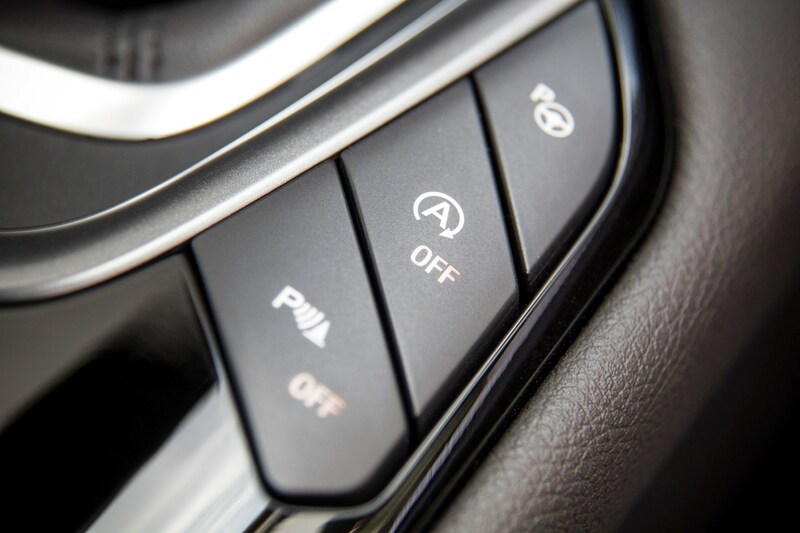 Also, a new eight-speed automatic gearbox was added, along with a more advanced adaptive cruise control system with the ability to stop and go on its own, plus traffic sign recognition, some plusher dashboard materials and enhanced storage. 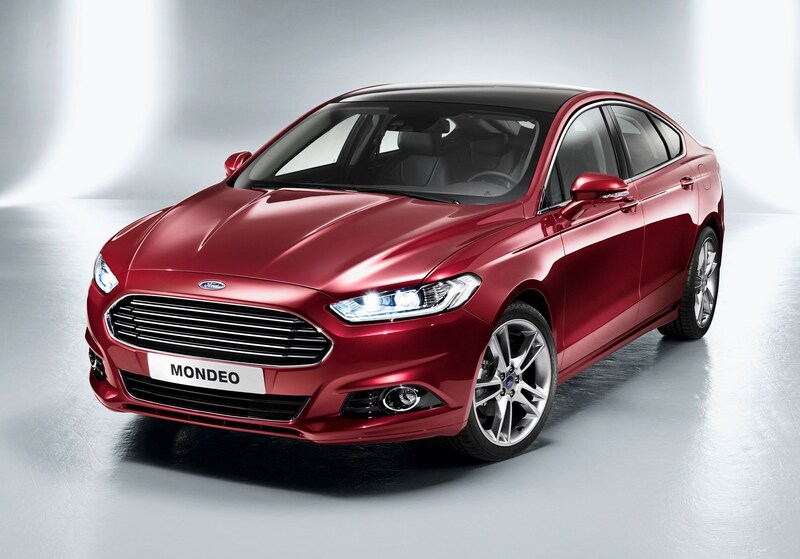 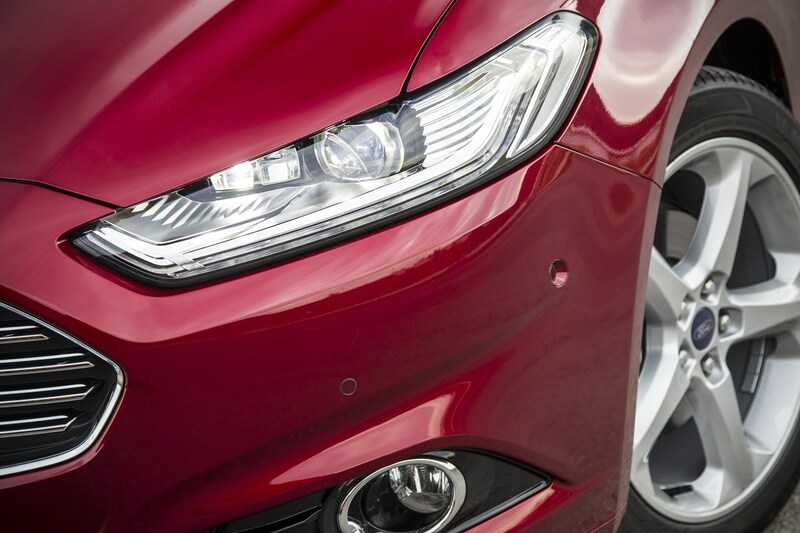 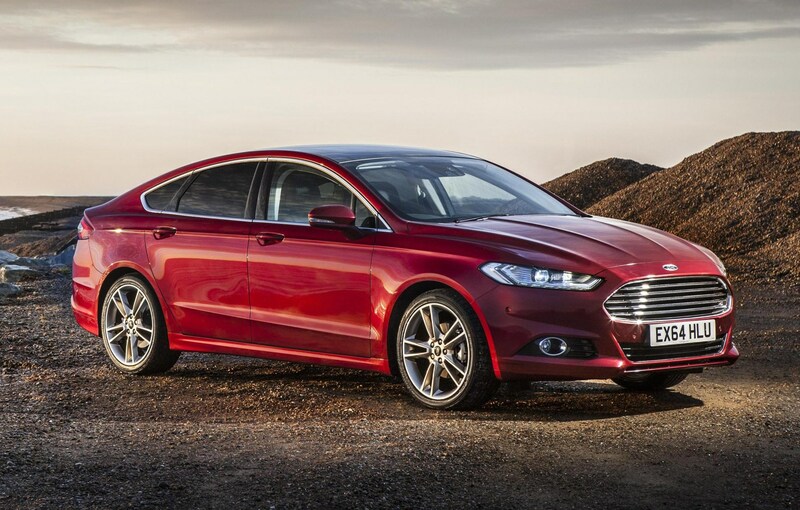 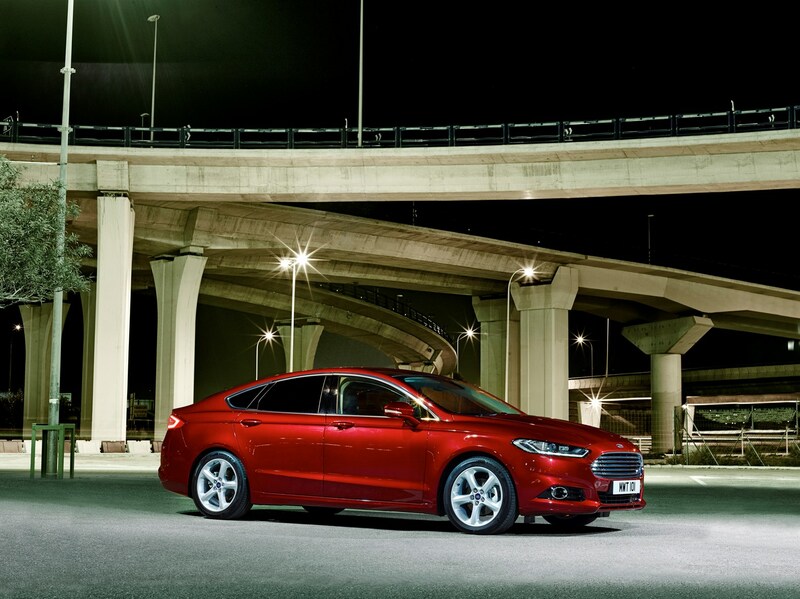 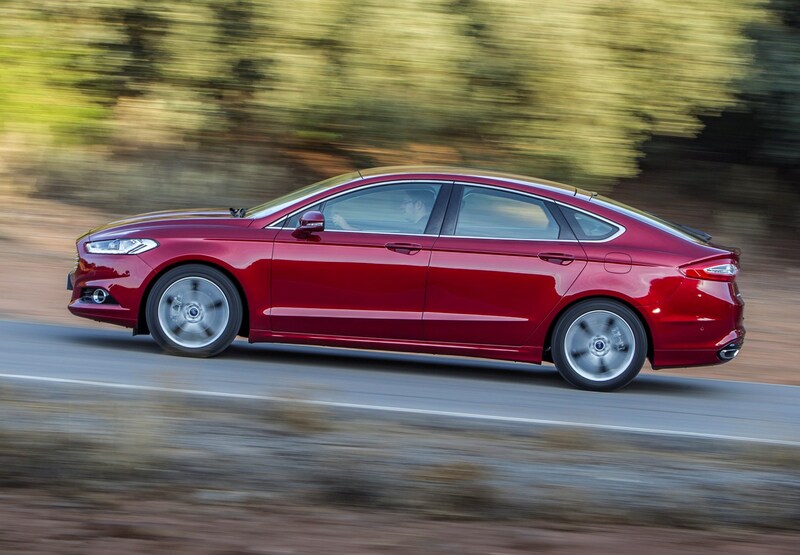 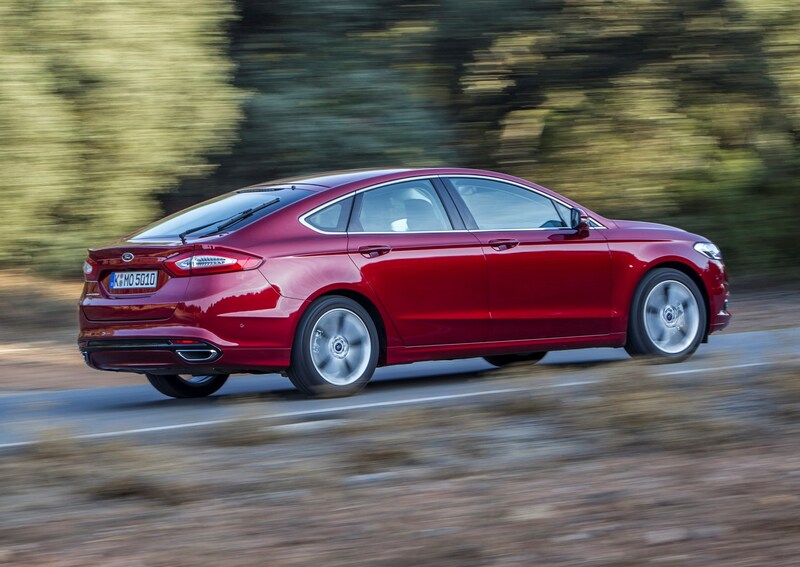 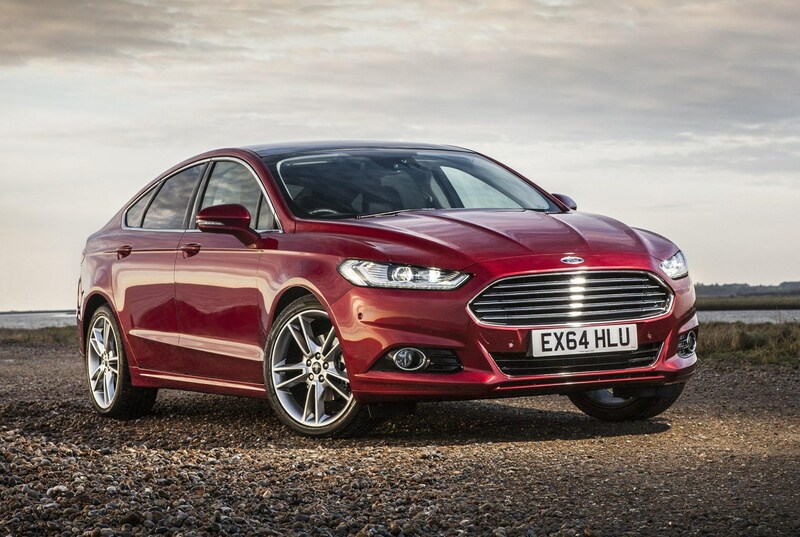 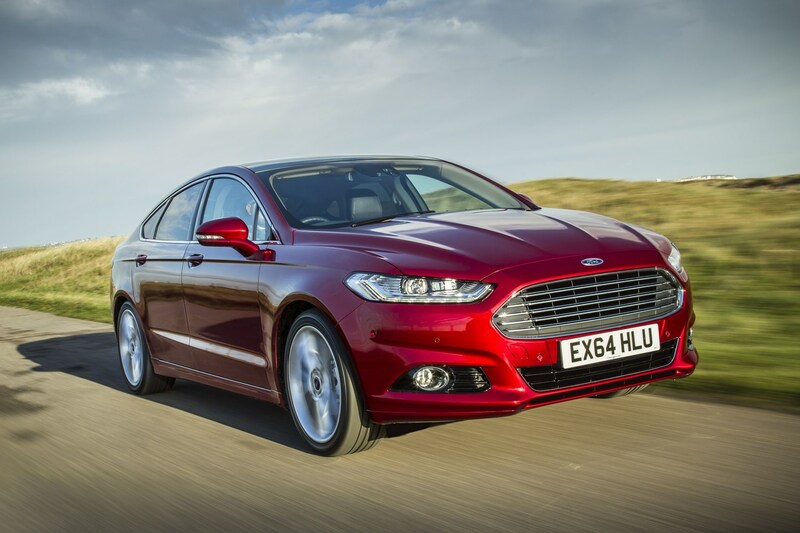 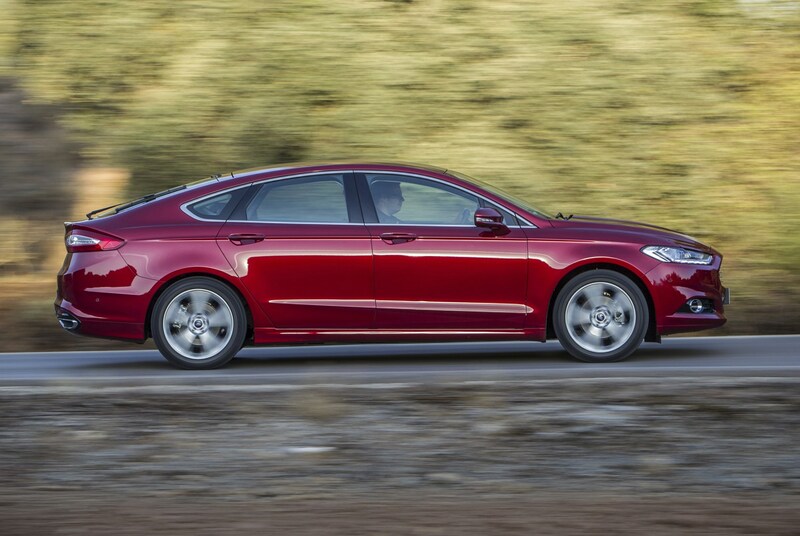 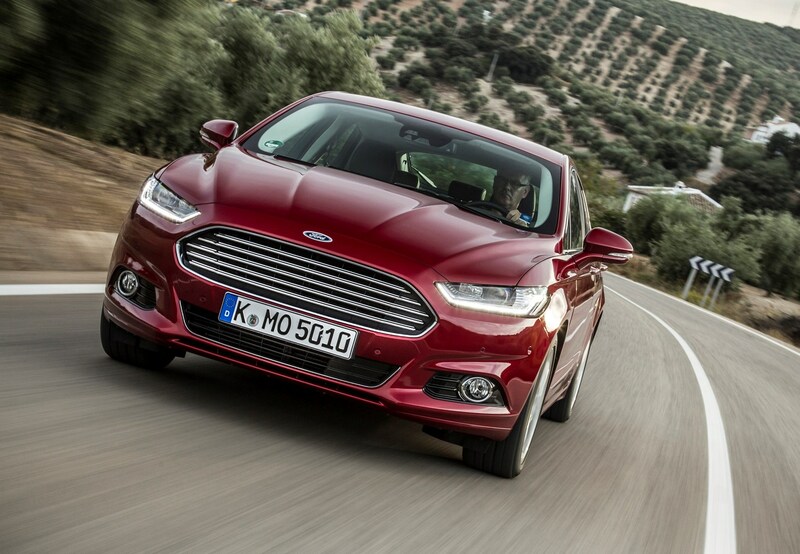 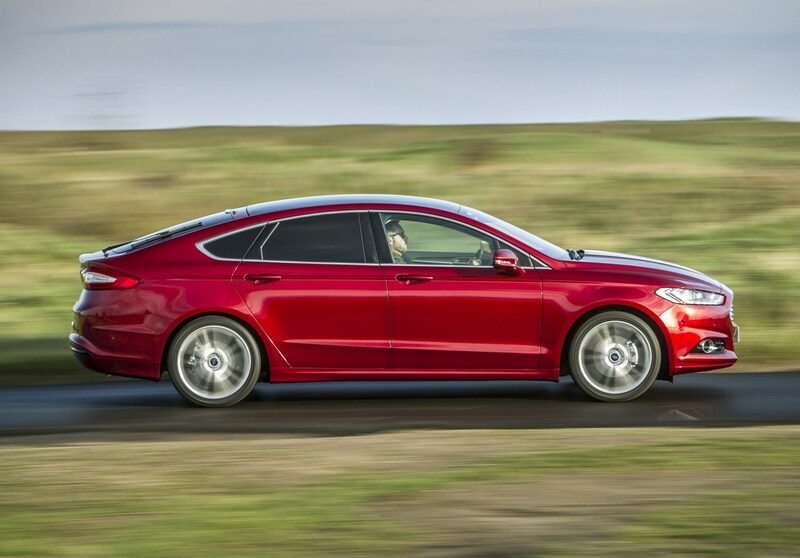 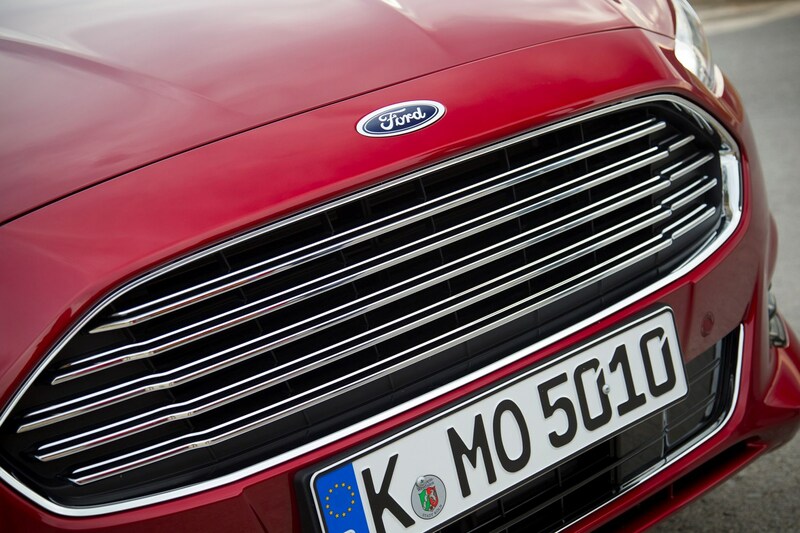 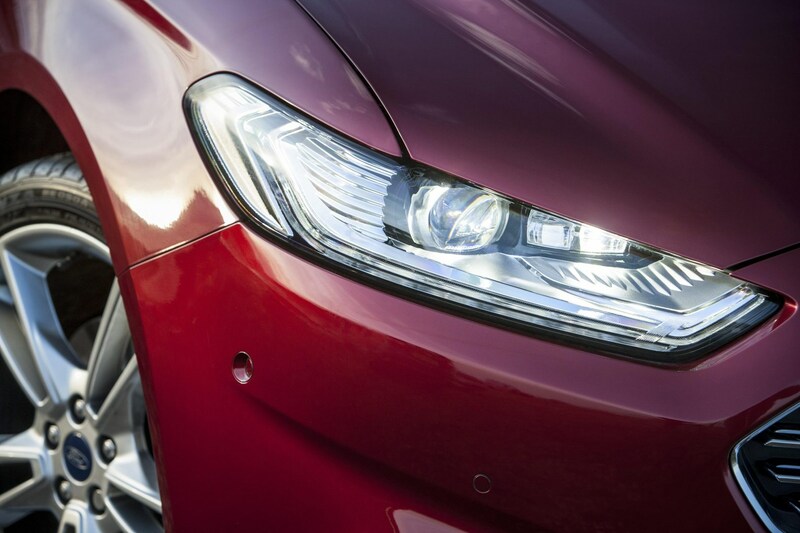 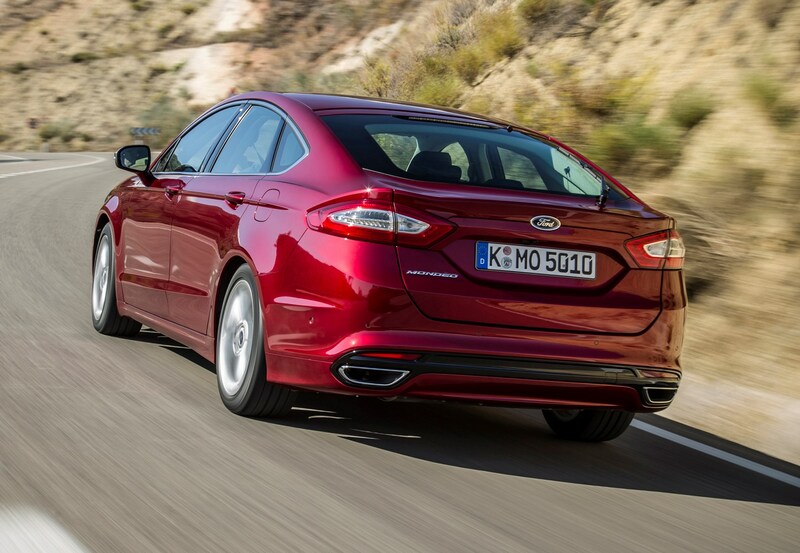 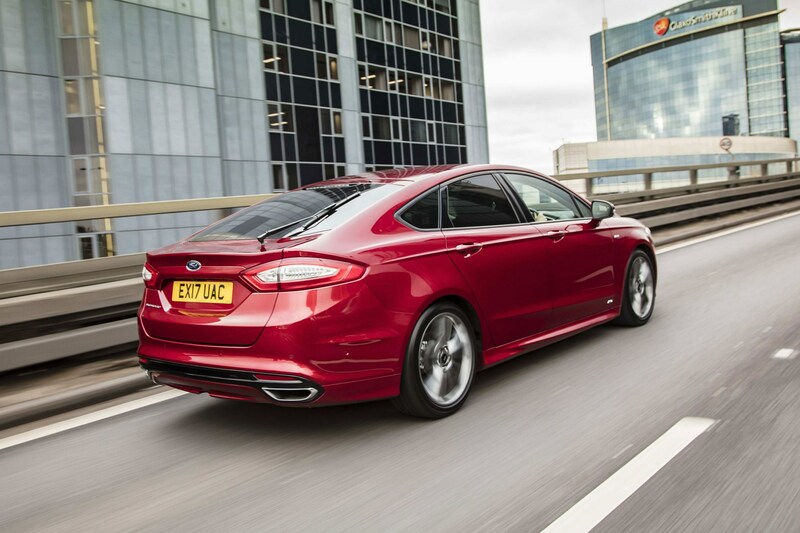 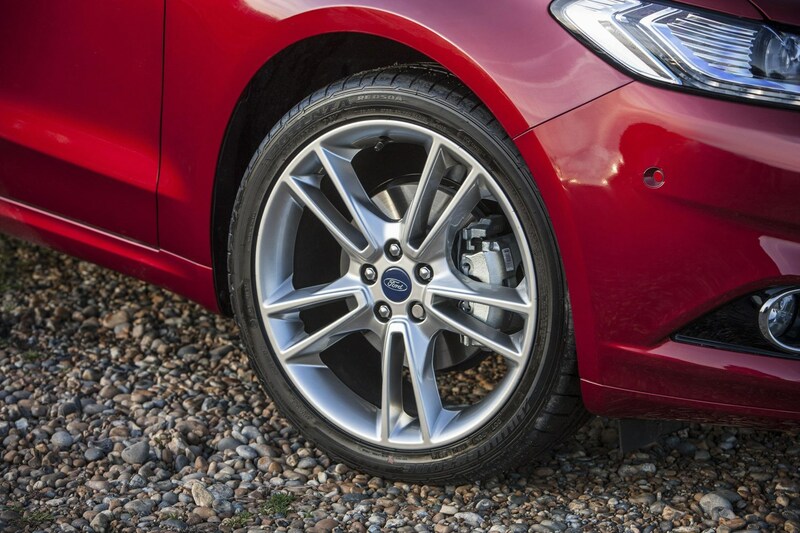 Should you buy a Ford Mondeo? 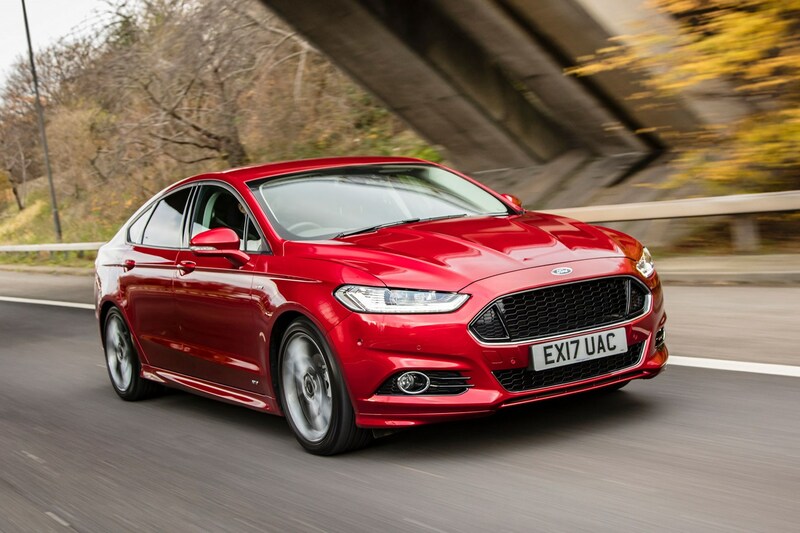 The Mondeo isn’t the sharp, fun-to-drive family hatchback it used to be, which may disappoint some buyers. 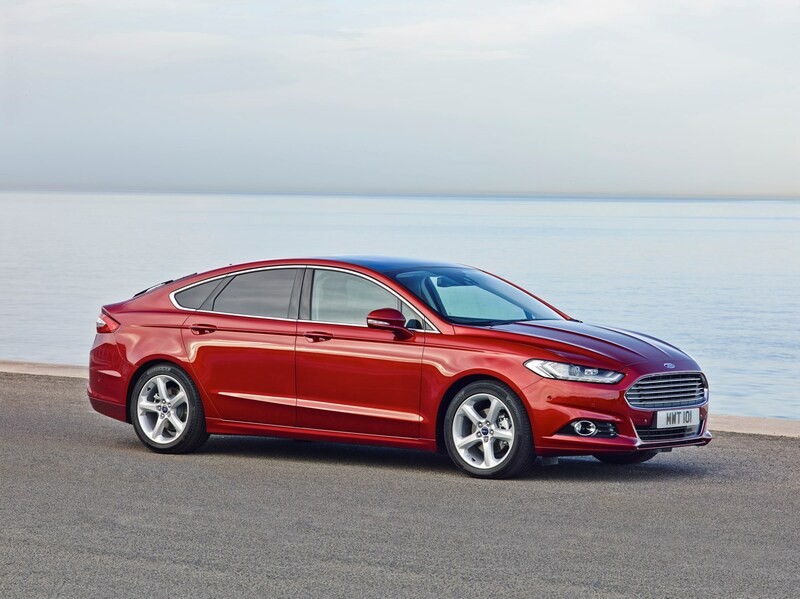 However, there are few better ways to travel hundreds of motorway miles, as the Mondeo is very comfortable, refined and easy to drive. 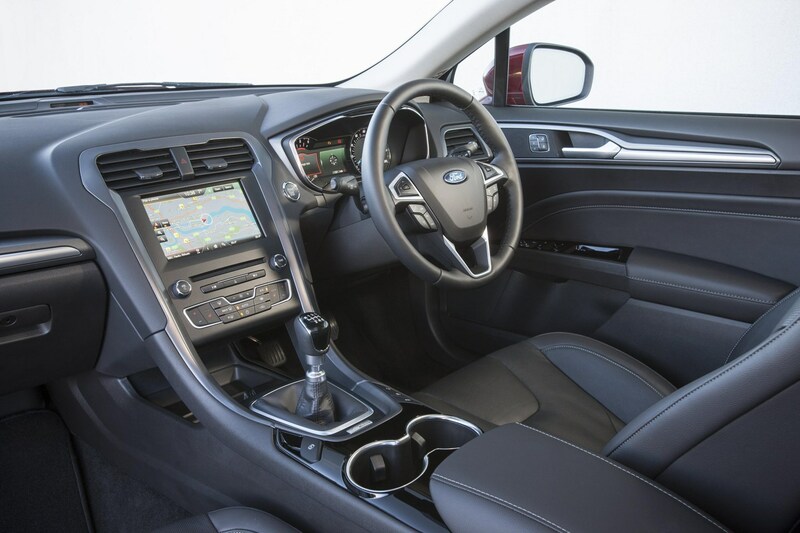 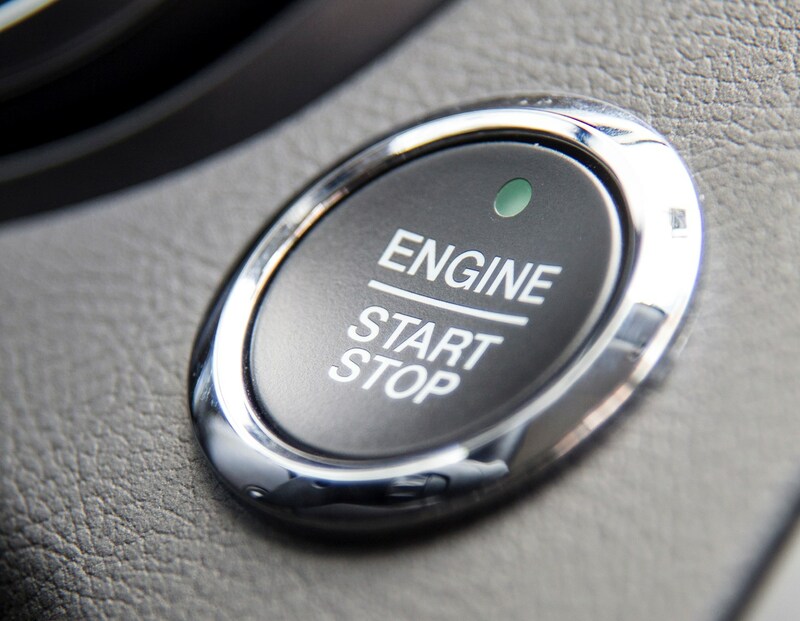 It comes with a generous list of standard equipment to keep you safe and entertained, while the broad selection of engines means there’s something to suit pretty much all tastes. 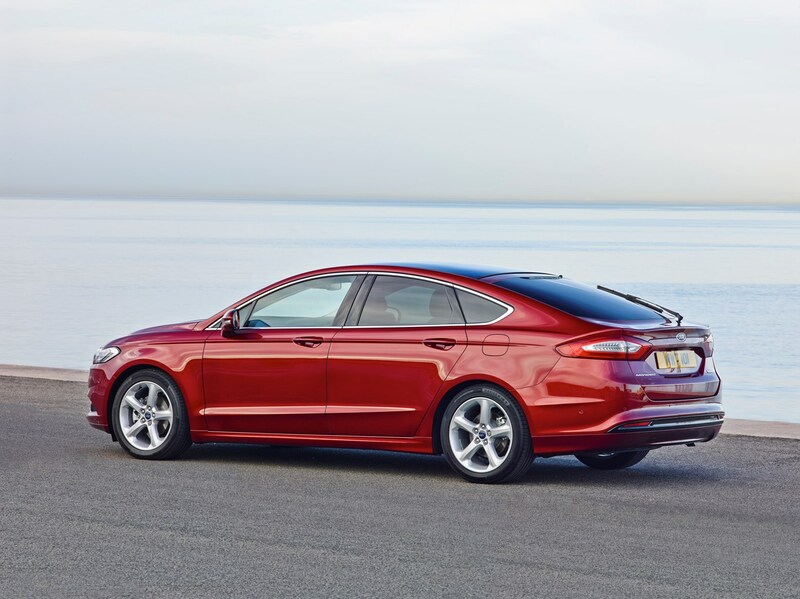 The biggest issue it has is the wealth of SUVs that are stealing sales from this more traditional body style, but it shouldn’t be overlooked.